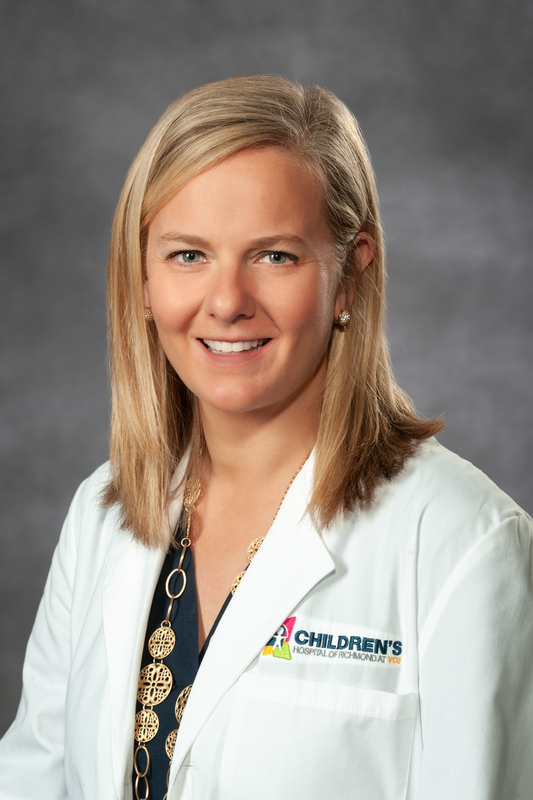 Melanie K. Bean, Ph.D., is an associate professor of pediatrics and co-director of the Healthy Lifestyles Center, a pediatric obesity treatment and research center at Children’s Hospital of Richmond at Virginia Commonwealth University. Bean’s research, funded by the National Institutes of Health, among others, is broadly focused on implementing empirically supported strategies to facilitate health behavior changes among populations at high obesity risk. She has a particular interest in evaluating school food programs and policies and in building strong community/academic partnerships to address obesity. 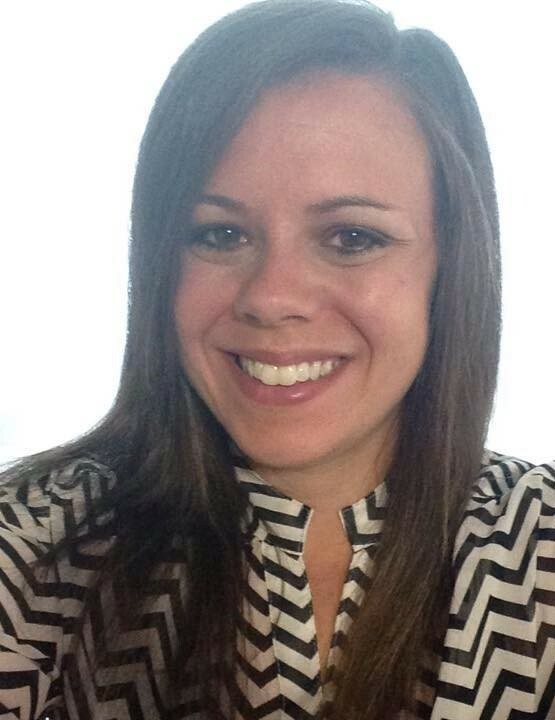 Justine Blincoe is the policy coordinator for Greater Richmond Fit4Kids. 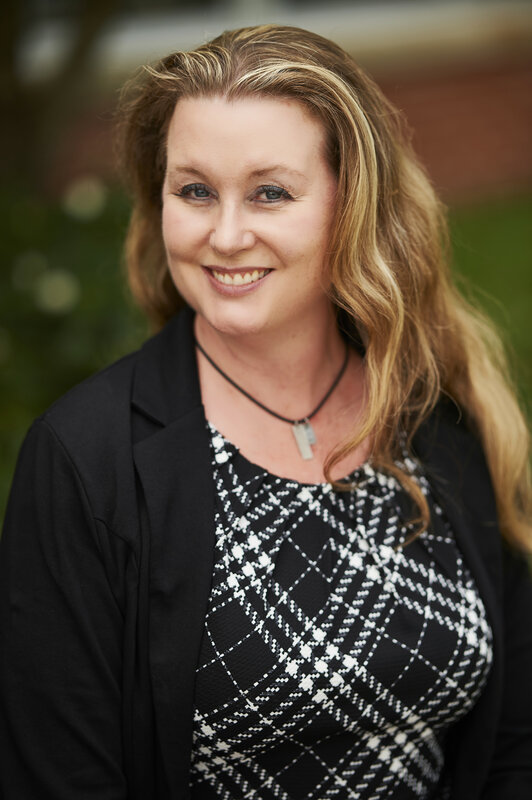 She holds a bachelor’s degree in women’s studies and a master’s of social work with a focus on administration, planning and policy practice, both from Virginia Commonwealth University. Prior to joining Fit4Kids, Blincoe served as a legislative assistant to state legislator Jennifer McClellan in the Virginia House of Delegates and the Senate of Virginia. Blincoe is also a former pre-kindergarten teacher. Audrey Blute earned her undergraduate degree at George Washington University and interned for the Campaign for Tobacco-Free Kids. After, she joined Teach For America and earned a master’s degree in urban education from the University of Pennsylvania before returning to Washington, D.C., where she taught math and art at a public charter school. 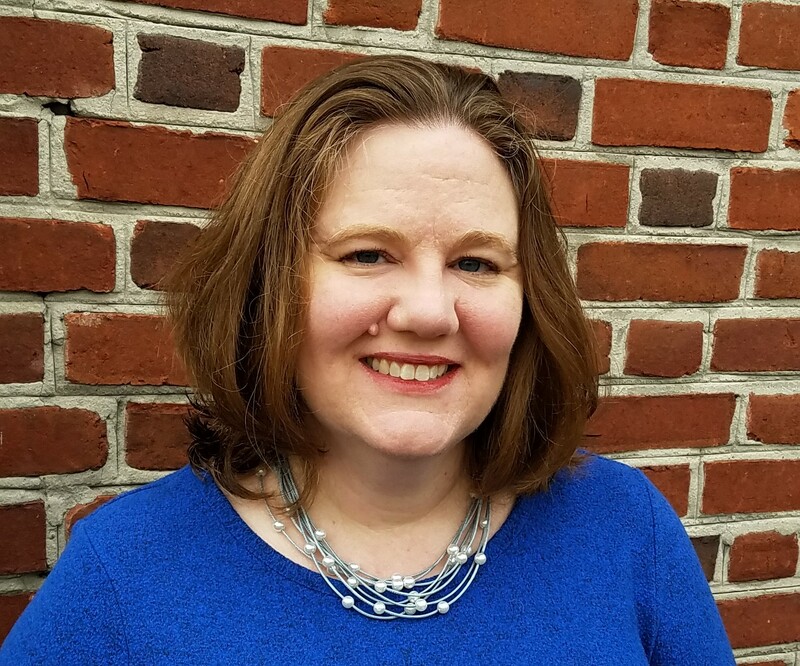 In her current position with Rescue as senior program manager, Blute oversees the implementation of Virginia’s youth engagement program, Y Street, as well as tobacco control and obesity prevention policy campaigns. 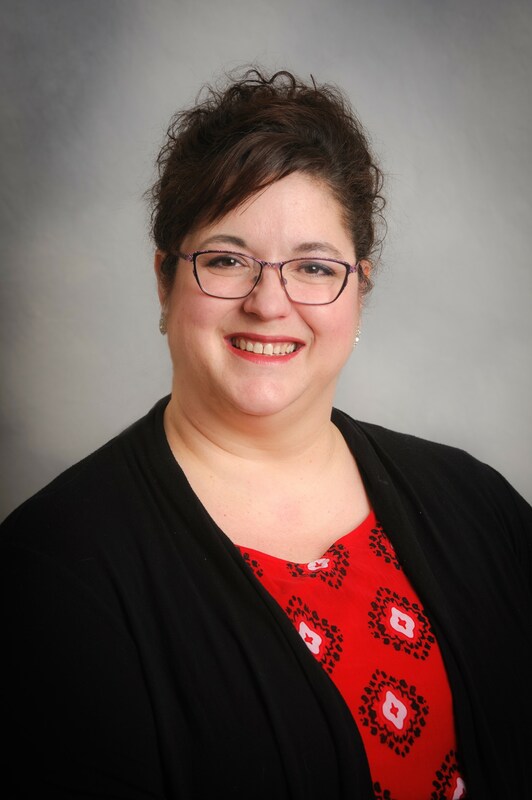 Jennifer Brady is the obesity and chronic disease prevention health educator for the Loudoun County Health Department and the vice-chair of the Loudoun Pediatric Obesity Coalition. Brady loves to work with community partners on a spectrum of obesity prevention initiatives, including breastfeeding support and promotion, increasing access to school gardens and local farm-fresh food, expanding opportunities for physical activity in the community and encouraging increased water consumption. On the weekends, she manages the largest producer-only farmers’ market in Loudoun County where SNAP shoppers can receive unlimited matching funds for their purchases. Alisa Brewer is the director of community engagement and outreach at Virginia Commonwealth University’s Center on Health Disparities. With 14 years of experience, Brewer conducts community-based participatory research activities with expertise in health promotion collaborations of varied audiences, including community, clinical, faith- and school-based groups. Brewer works closely with university and community coalitions throughout Richmond and its surrounding areas. These efforts aim to promote understanding about health disparities and problem-solving through means of relationship and capacity building initiatives, advocacy and health education. 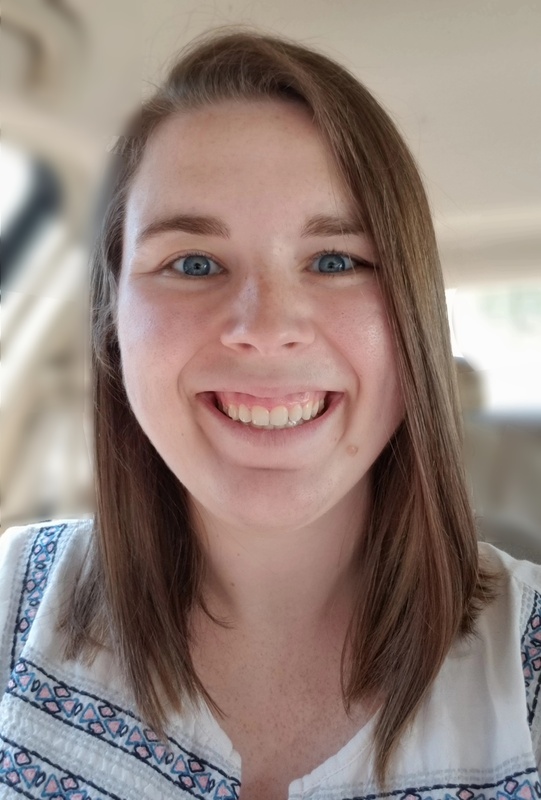 Amanda Butler is the nutritionist for the Commit to Be Fit program and the school nutrition director for Rappahannock County Public Schools. After working in both employee and student wellness centers at the collegiate level, Butler feels right at home in small, rural Rappahannock County, where the Commit to Be Fit program promotes a culture of health and wellness among all ages in the community. Butler dedicates her work to allow all students access to healthy meals, including fresh and local foods, and nutrition education and experiences to lead a healthy life. Butler earned her bachelor’s degree from Virginia Tech in nutrition, foods and exercise and her master’s in health education and promotion at East Carolina University. 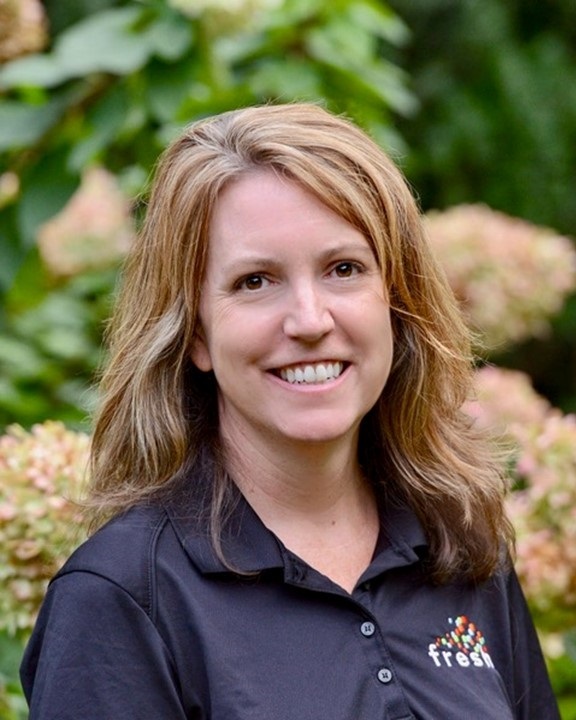 Kimberly Butterfield serves as the family and consumer science agent for the Virginia Cooperative Extension in Roanoke, Virginia. Butterfield received her master’s of public health degree from Virginia Tech, where she also served as a program manager for the Appalachian Community Cancer Network’s Walk by Faith program in Giles County and as project coordinator of the Let’s Talk Public Health youth initiative. Butterfield joined the Virginia Cooperative Extension in 2016. Janice Choudhury began her career with Rescue as a Y Street Youth Field Organizer, recruiting and training youth advocates throughout the state of Virginia to lead campaign activities in their community. Currently, she serves as campaign manager for the Great Starts with Breakfast campaign, for which she drives campaign strategy and implementation by partnering with Y Street teens to increase breakfast participation in Virginia schools. Choudhury earned her bachelor’s degree in psychology from Virginia Commonwealth University and her master’s in public health from Columbia University. She has more than 10 years of experience working with youth and is a former Peace Corps volunteer, having served as a healthy youth advisor in Lesotho, South Africa. 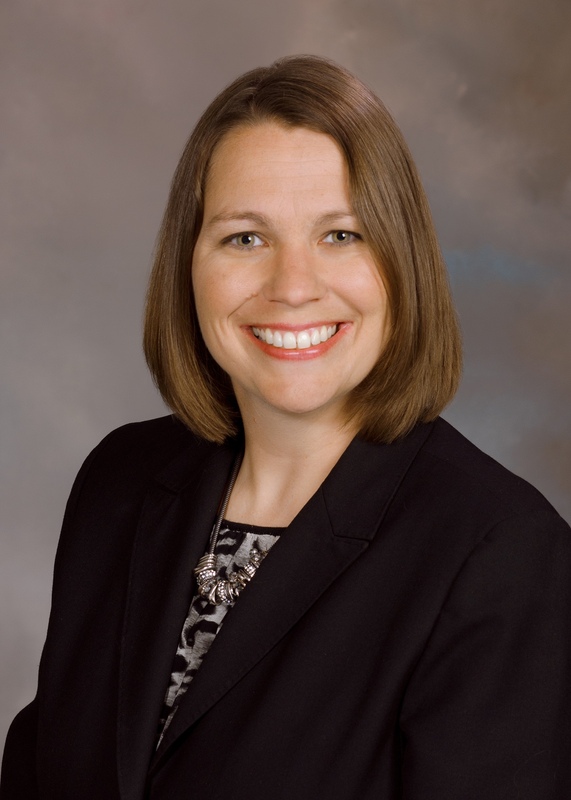 Carrie Coyner was first elected to the Chesterfield County School Board in November 2011. She represents the Bermuda District and previously served as board chair. Coyner is the owner and founder of RudyCoyner, Attorneys at Law and holds bachelor’s degrees in Spanish language and U.S. government from the University of Virginia and a juris doctorate from the University of Richmond School of Law. 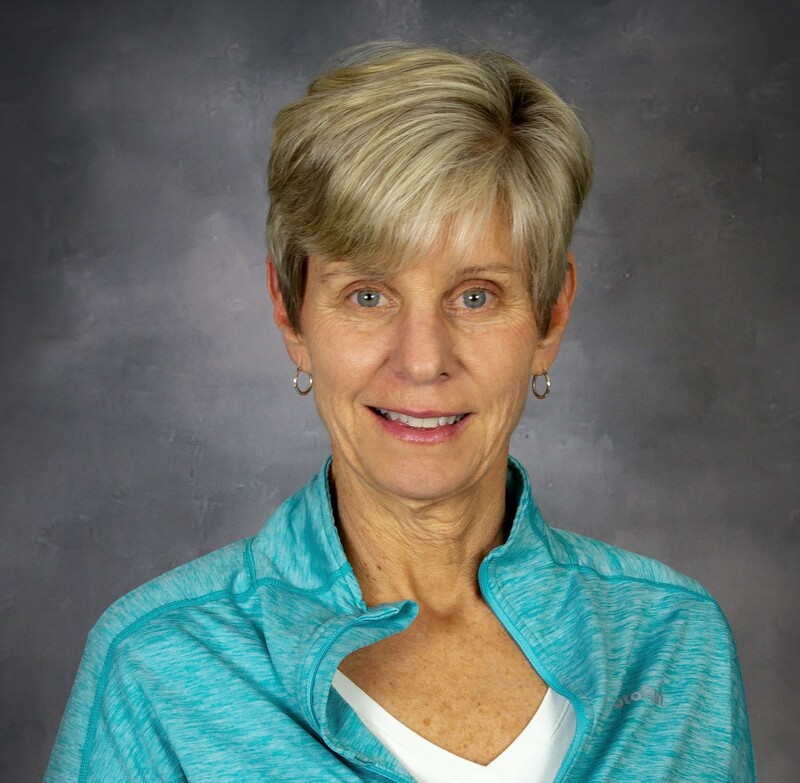 Coyner was named a national Action for Healthy Kids 2017 Healthy School Hero winner for her service towards the goal of making every kid healthy, active and ready to learn. Throughout her 12 years serving as a community advocate, Brandi Daniels has used her collaborative talents and experiential learning in a variety of roles to help minimize health disparities gaps in Richmond communities. As a community partner with Virginia Commonwealth University’s Center on Health Disparities for the past five years, Daniels has had the opportunity to co-mingle with research networks and outreach efforts in promoting literacy and health education workshops to children, youth and their families. 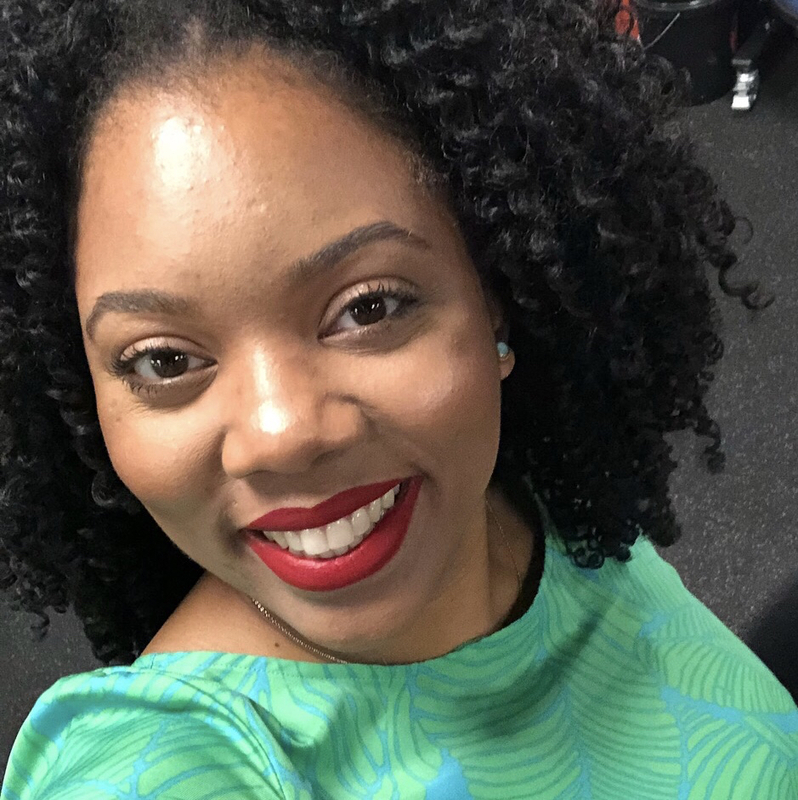 This 2015-2016 Mid-Atlantic Health Equity Hero awardee has also partnered with Virginia Department of Health’s Office of Health Equity and currently serves as an instructor for Virginia Commonwealth University’s Honors College Community Engagement courses. 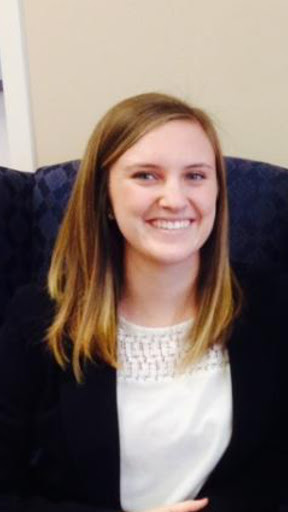 Kayla Brooke Dransfield first joined regional nonprofit Greater Richmond Fit4Kids as an Americorps VISTA in 2014. Throughout the past four years, she has worked on a variety of health and wellness initiatives, including Eat Fresh Richmond Public Schools, which was highlighted in a plenary session at the 2017 Weight of the State conference. Dransfield currently serves as the program coordinator and developed their newest program, Game On, Girl! - a comprehensive initiative to empower adolescent girls to be physically active, nutritionally fit and ready to take on the world! Dransfield graduated from West Virginia University with a bachelor’s degree in anthropology and sociology. 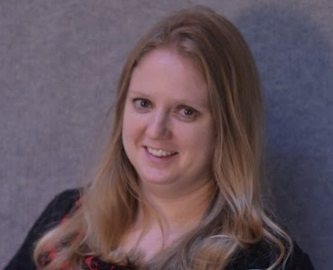 Christen Dunn joined the Consortium for Infant and Child Health (CINCH) in March 2018 as the program coordinator for CINCH’s Breastfeeding Friendly Child Care Initiative, focusing on breastfeeding as a means of obesity prevention. Dunn has several other programmatic interests, including providing tobacco prevention education and facilitating tobacco policy changes in early care settings through the Virginia Foundation for Healthy Youth-funded program Healthy Alternatives for Little Ones (HALO), as well as increasing allergy and asthma awareness to school nurses across the Hampton Roads region. Dunn holds a bachelor’s degree in clinical health promotion from Liberty University and is an MPH candidate at Eastern Virginia Medical School (EVMS). Jarene Fleming, IBCLC, is the state breastfeeding coordinator with the Virginia Department of Health’s Office of Family Health Services, Division of Community Nutrition, for which she coordinates multiple initiatives to promote, protect and support human milk feeding in the commonwealth, including the Virginia WIC Breastfeeding Program, the Virginia Maternity Care Quality Improvement Collaborative and the BF Friendly Child Care Award program. Making a positive impact in the area of maternal and infant health through breastfeeding is her passion. Her particular focus is closing the racial health disparity gap by promoting breastfeeding for all families. Fleming serves on the board of the Southern Birth Justice Network and is a member of Reaching Our Sisters Everywhere (ROSE). Catherine “Katie” Giles is a project manager at the Prevention Research Center on Nutrition and Physical Activity at the Harvard T.H. Chan School of Public Health (HPRC). The mission of the HPRC is to work with communities, community agencies, state and local government, and other partners to develop, implement, and evaluate the effectiveness and cost-effectiveness of methodologies and interventions to improve nutrition and physical activity and reduce obesity and chronic disease risk among children, youth, and their families and to translate and disseminate this work at community, state and national levels to reduce and eliminate disparities in these outcomes. Giles also serves as project manager for CHOICES, a cost-effectiveness study of childhood obesity policies and programs. 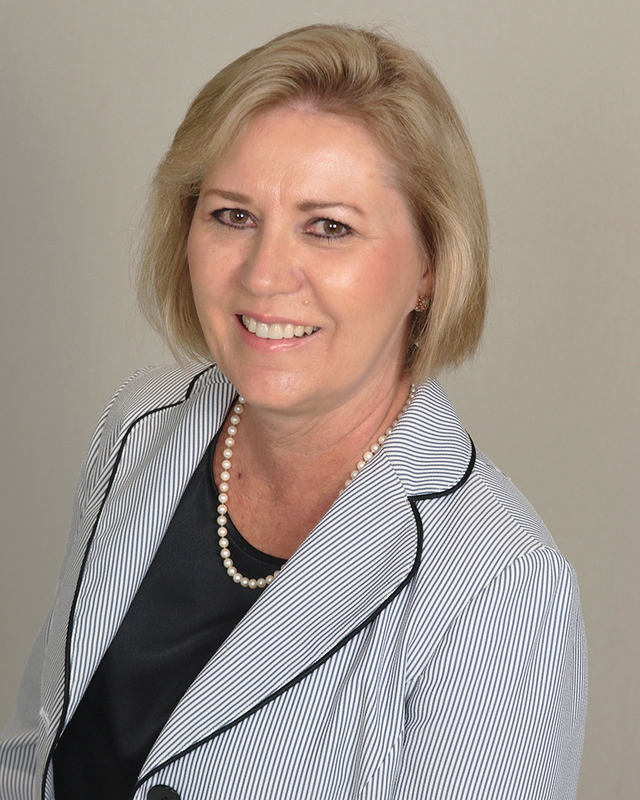 In her role on the CHOICES project, Giles manages the Learning Collaborative partnerships with state and local health agencies and the CHOICES national expert stakeholder group, oversees policy/program strategy model development and dissemination strategy and products of CHOICES activities, methods and findings. Giles’ key areas of interest include physical activity and nutrition policy and environmental change interventions, community based participatory approaches to public health change and development of sustainable, low-cost tools and resources for communities and organizations to improve health. Prior to joining the Prevention Research Center, Giles worked for five years at the University of North Carolina School of Nursing on a multi-site randomized control trial with middle schools to prevent type 2 diabetes. Giles received her Master of Public Health degree in Health Behavior and Health Education from the University of North Carolina at Chapel Hill Gillings School of Global Public Health and her bachelor’s degree from Pomona College. Courtney Glenn, MLA, is a birth doula, pregnancy and early parenting consultant, and the owner of Spirit of the Midwife Pregnancy Services. Since committing to birth work in 2012, she has worked to change narratives and outcomes associated with pregnancy and birth. Glenn has made it her life’s mission to serve women and families during this sacred, special time. Through Spirit of the Midwife, she hopes to inform, educate and support women and families through pregnancy and birth by providing information, resources and relationships that positively impact the birth experience and their lives. Serving as a birth worker has greatly enriched her life so much so that she plans to become a certified nurse midwife. 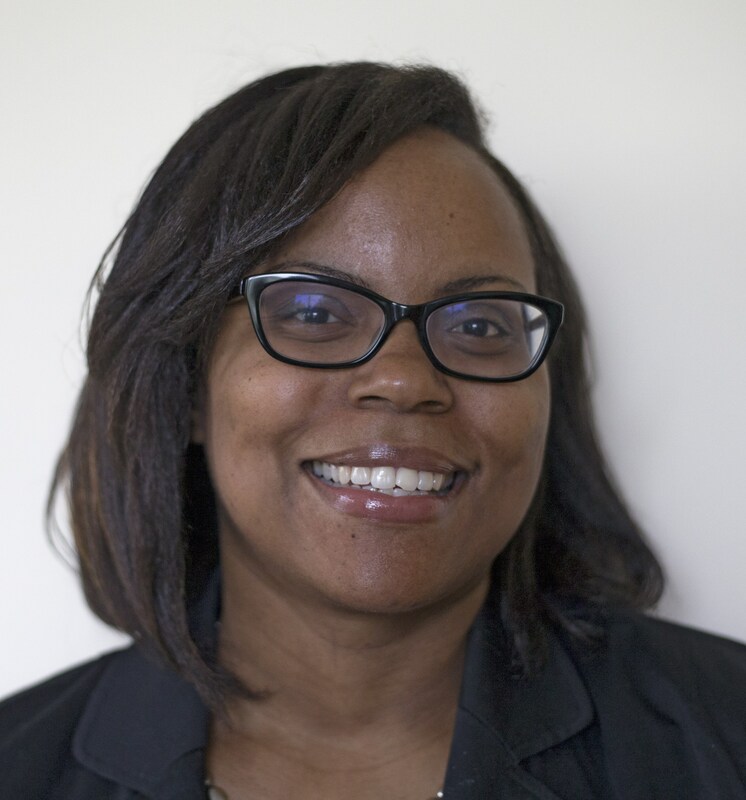 Hattie Harris is the early childhood program manager at Alternatives Inc., a nationally recognized youth development agency in Hampton, Virginia. 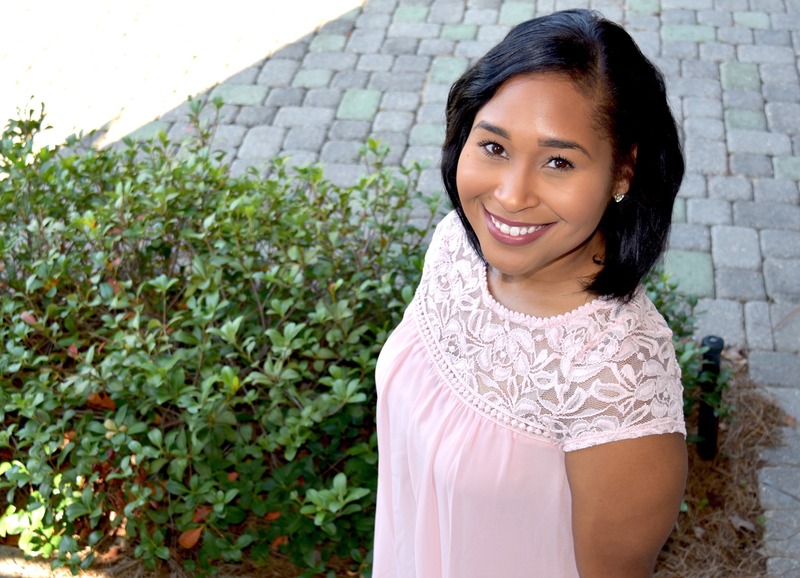 Holding a bachelor's degree in psychology, a master’s degree in clinical psychology and certification in managing early childhood programs, Harris is the current coordinator for Alternatives’ nationally recognized early childhood programs initiatives. This initiative includes a childhood obesity prevention program that serves over 300 children. Harris has extensive training and experience in research and management, equipping children and families in making changes for healthier and physically active lifestyles as well as institutionalizing policy changes and practices. 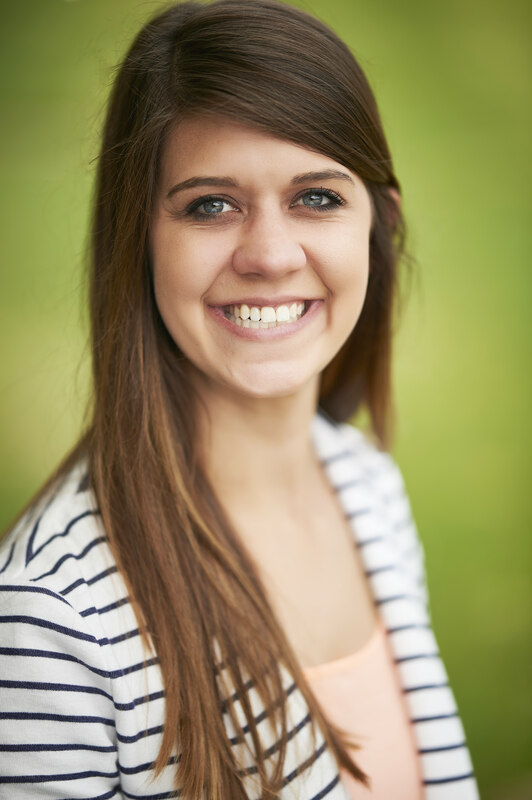 Jordan P. Hiegel is currently a second-year medical student at Edward Via College of Osteopathic Medicine. Passionate about pediatric nutrition, she is currently leading a project aimed toward better understanding the nutritional needs of the local pediatric population in Blacksburg, Virginia, titled, “Medical Students Reach Out Into Their Community To Learn About Their Nutritional Beliefs & Practices.” Hiegel received her undergraduate degree in biology with a minor in chemistry from Virginia Commonwealth University in 2016. 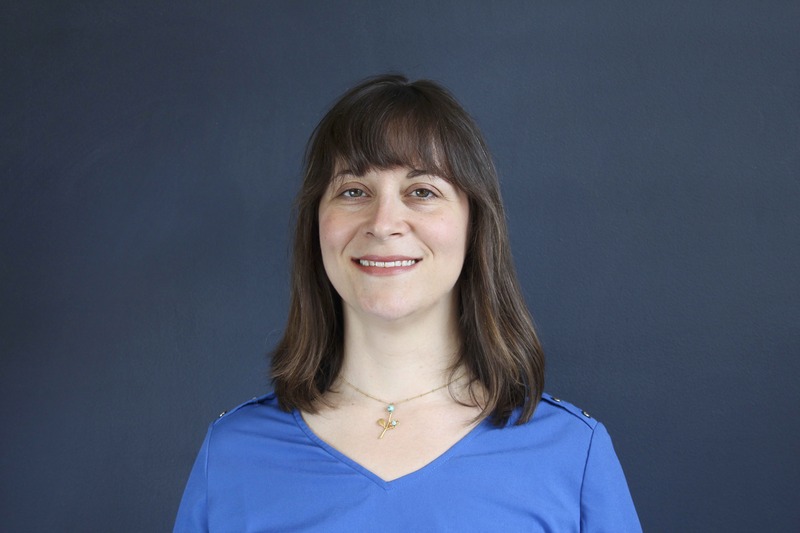 She is the co-author of a paper titled “The Chromatin Remodeling Complex NURF Localizes to Gene Bodies and is Required for Mrna Processing,” which is currently under review to be published in the Journal of Biological Chemistry. Kathy Hosig is an associate professor of Population Health Sciences at Virginia Tech and director for the Virginia Tech Center for Public Health Practice and Research. She is also a public health specialist and state program leader for health with Virginia Cooperative Extension. Hosig is a registered dietitian with a bachelor’s degree in nutrition and dietetics from Virginia Tech, a doctorate in human nutrition from Purdue University and a Mmaster’s of public health degree from the University of North Carolina at Chapel Hill. She teaches health education/health behavior and program evaluation. Her research focuses on promotion of healthful eating and physical activity habits across the lifespan through community-engaged, collaborative programs. 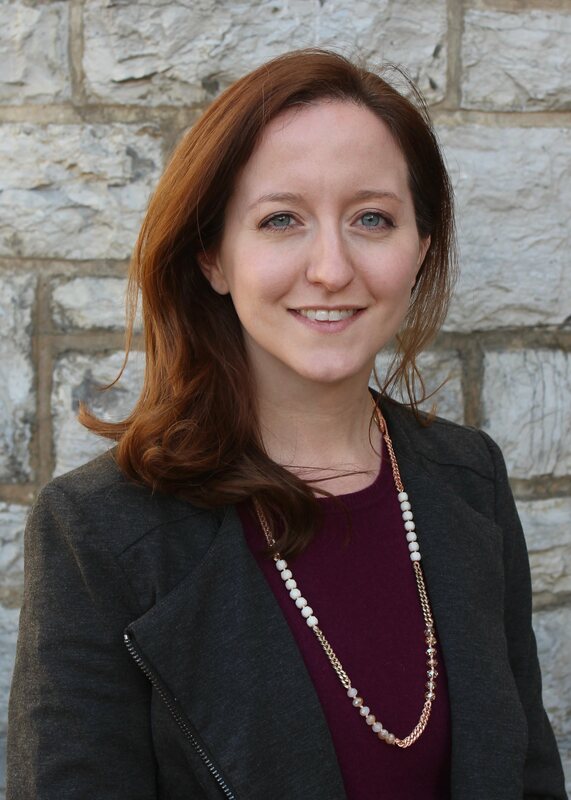 Bailey Houghtaling, MS, RDN, is a Ph.D. candidate in the Department of Human Nutrition, Foods and Exercise at Virginia Tech who completed a research project with the Virginia Family Nutrition Program as a portion of dissertation research. 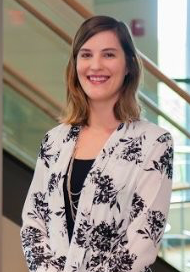 Erika Huddleston, associate director of Loudoun Hunger Relief, served as the program manager for the Integrated Pediatric Care Program funded by Northern Virginia Health Foundation, which completed in 2017. 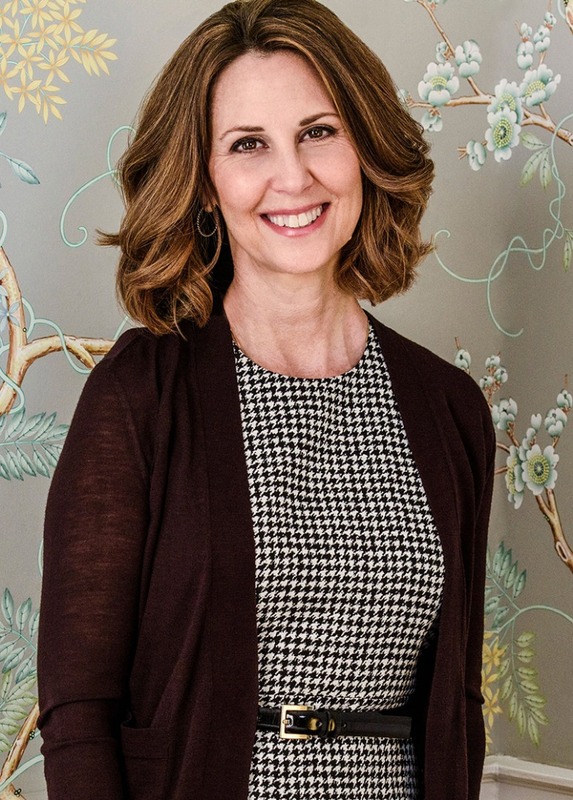 An experienced nonprofit professional with 18 years of organizational and program management experience, she has eight years of hands-on experience managing food-access programs in Loudoun County, Virginia. 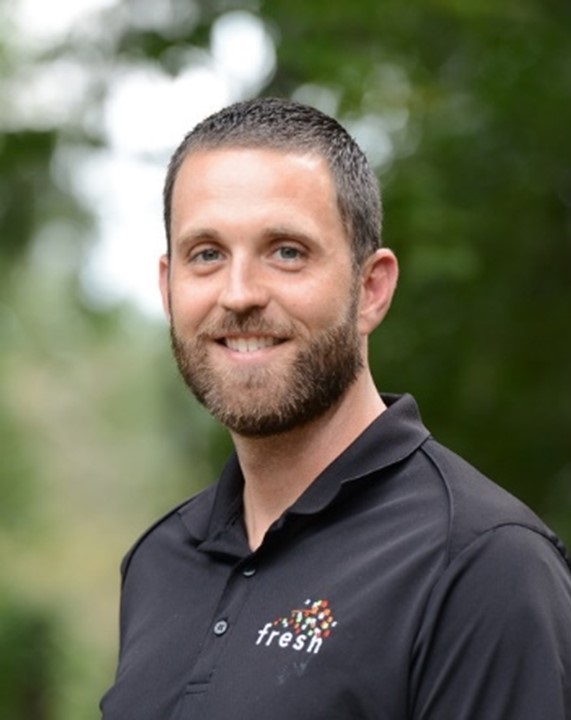 Previously the director of Messiah’s Market in Ashburn, Virginia, Huddleston joined Loudoun Hunger Relief in 2015 to serve as associate director, providing operational and programming support to the organization. 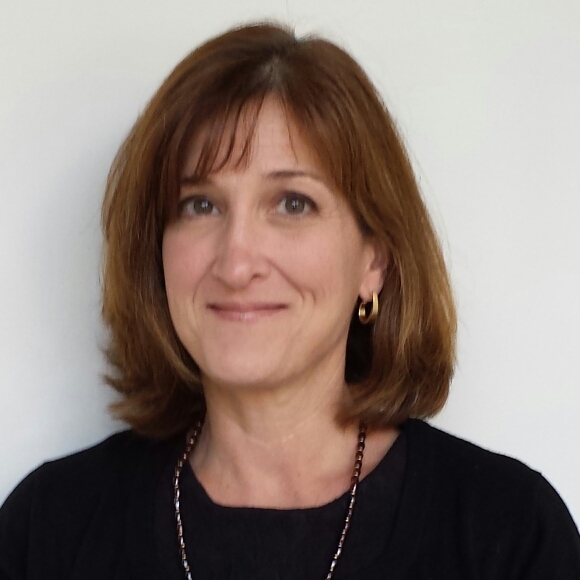 Huddleston serves as the secretary for the Loudoun Pediatric Obesity Collation and co-facilitator of the Loudoun Food Providers Group. Dr. Jamie Jeffrey is a pediatrician and clinical associate professor of pediatrics at West Virginia University School of Medicine Charleston Division. She received her medical degree from Marshall University School of Medicine in Huntington, West Virginia, and completed her pediatric residency at Akron Children’s Hospital in Akron, Ohio. She founded and is medical director of HealthyKids Wellness and Weight Management Program at Charleston Area Medical Center (CAMC. 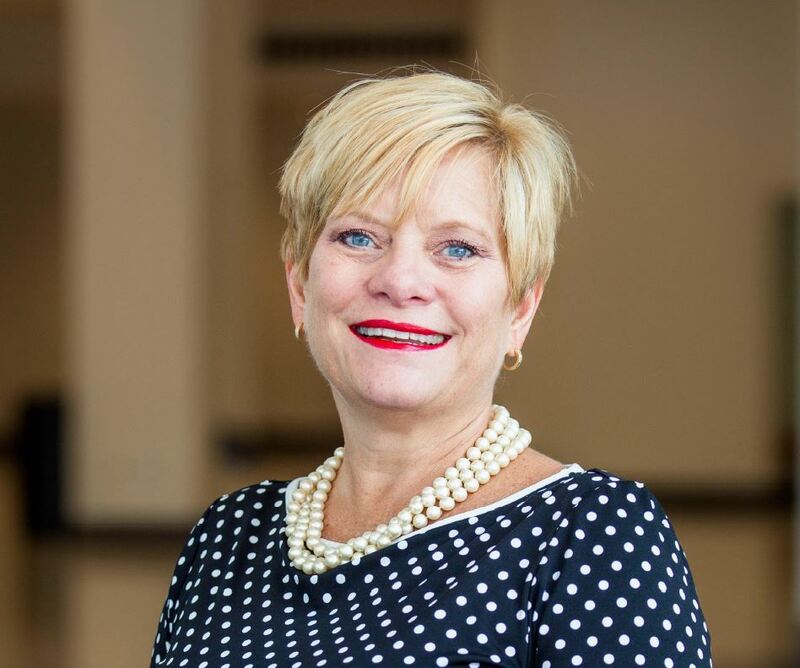 After noticing escalating weight and BMI in her patients at Children’s Medicine Center in Charleston, West Virginia, she has devoted her career to pediatric clinical, research, advocacy and community outreach in the field of childhood obesity. Her most important role is to serve as director of KEYS 4 HealthyKids, a multisector collaborative to prevent childhood obesity by improving the nutrition and physical activity environments and policies so her patients and families don’t have to work so hard to lead healthy lives. KEYS 4 HealthyKids works with child care centers, schools and in the community to make the healthy choice the easy choice! 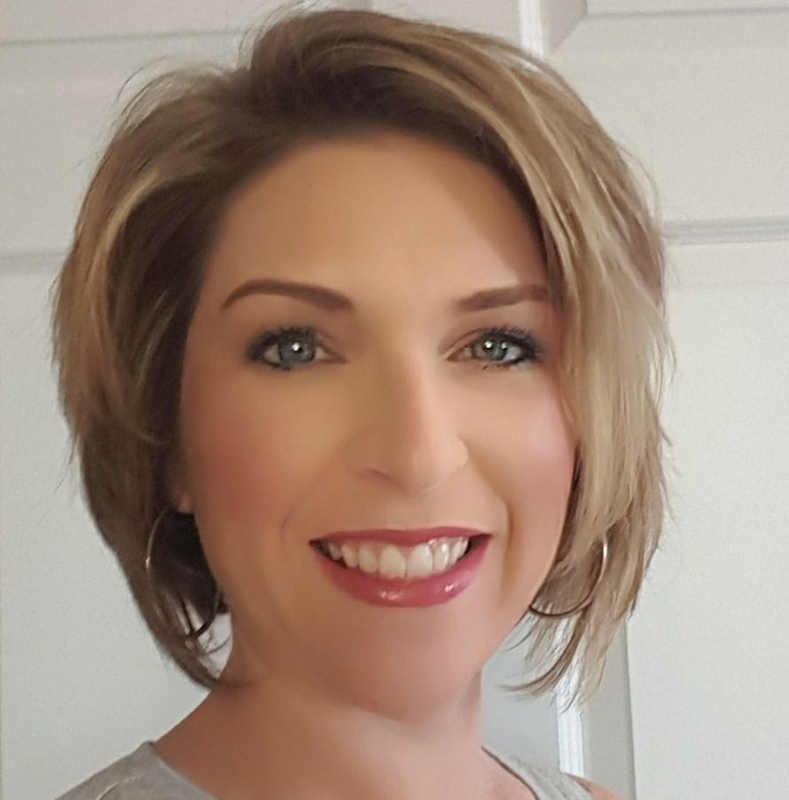 Hollyann E. Jenkins is a wellness integration specialist with the Commit to Be Fit Team at Rappahannock County Public Schools. Jenkins is a graduate of the University of Virginia and has worked in the fitness industry for over 12 years. She is a certified personal trainer and a certified health coach (both through the American Council on Exercise). In addition, she holds multiple specialties such as master fitness trainer (National Federation of Professional Trainers), youth exercise specialist (National Academy of Sports Medicine) and sports conditioning specialist (American Council on Exercise). Ragen Johnson is the Executive Director of Alternatives Inc., a nationally recognized youth development agency in Hampton, Virginia. She participated in out-of-school time programs offered by Alternatives as an elementary, middle and high school student. Johnson served as the program coordinator for a nationally recognized early childhood program serving 2,000 preschool-aged children and a state-recognized childhood obesity prevention program serving 300 children in the community. She has also developed curriculum, trainings, facilitated parent programs and provided technical assistance for early childhood programs. Johnson holds a bachelor’s degree in social work and political science and has a master’s degree in public administration. Jeff is President and Executive Creative Director of Rescue, a behavior change marketing agency. His passion for social change began in high school when he volunteered for an anti-tobacco group. Observing the lack of effective social change marketing services, he started Rescue when he was 17 years old. While growing Rescue, Jeff studied marketing for his undergraduate degree and received a Master's in Experimental Psychology from the University of California, San Diego. Today, Jeff has led Rescue's growth to six offices in the US and managing over two dozen behavior change programs across North America, tackling issues such as nutrition, tobacco, and substance use. Janice Kailos is the coordinator for wellness and community outreach for the School Health Initiative Program (SHIP). SHIP is grant-funded through the Williamsburg Health Foundation and is a partnership with Williamsburg-James City County Public Schools. 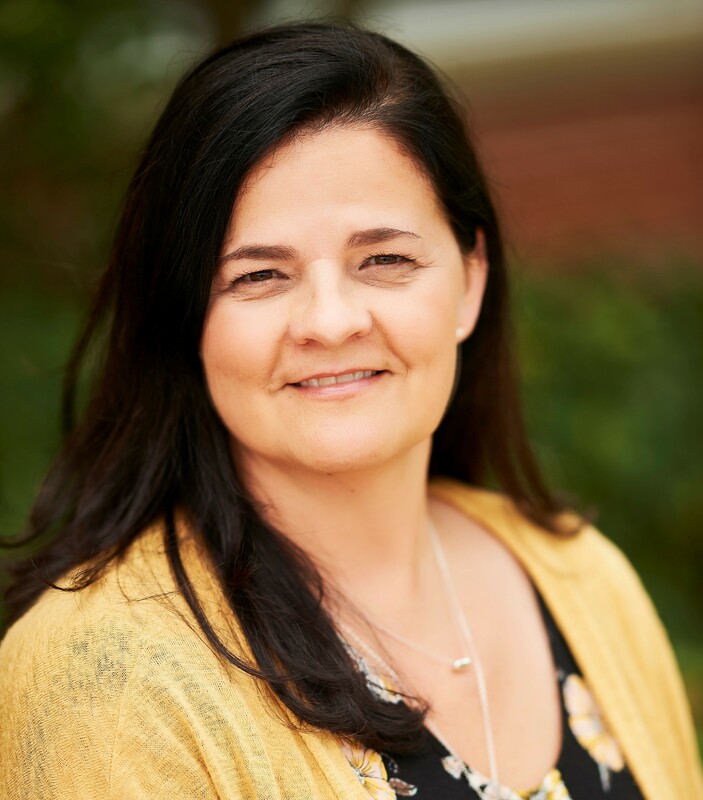 Kailos started her career with Williamsburg-James City County schools in 1995, and has been a classroom teacher and a wellness integration specialist. In Kailos’s current position, she has grown the after-school student club attendance to close to 2,500 students per year. Kailos enjoys running and is an Orangetheory Fitness enthusiast. She resides in Williamsburg, Virginia, with her husband of 34 years and their boxer. They have two adult children. 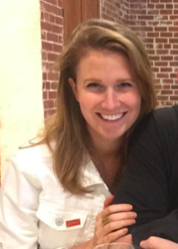 Emily Keenum, a health initiative coordinator with the Virginia Early Childhood Foundation managed Virginia’s Early Care and Education Learning Collaboratives project from 2014 to 2018. Although this grant ended, she continues to work at the foundation with state and local partners to integrate healthy eating and physical activity best practices into early care systems. Before joining the foundation, Keenum provided training and consultation services on social-emotional competencies, child resiliency and health and classroom behavior supports in early childhood. Keenum holds a master’s degree in counseling. Debra Kibbe is a senior research associate in the Georgia Health Policy Center at Georgia State University, where she has worked since October 2011 on obesity and health-related policy and programs throughout the United States. From 1998 to 2011, Kibbe served as director of the Physical Activity and Nutrition (PAN) Program for the International Life Sciences Institute Research Foundation in Washington, D.C., where she coordinated, evaluated and published results from several school, community and health care intervention projects aimed at the prevention and management of pediatric overweight. Prior to joining the PAN program, she was the assistant volleyball competition manager for the 1996 Olympic and Paralympic Games in Atlanta. 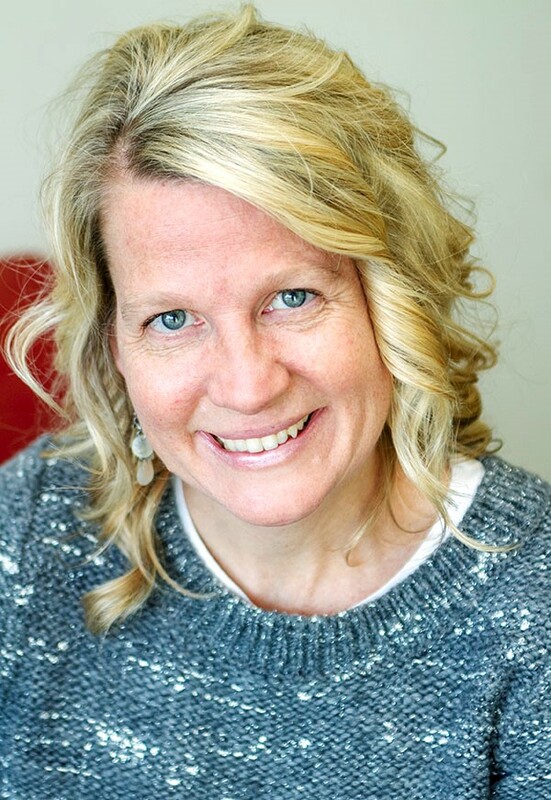 Active at the national level, Kibbe is a faculty member for the Academy of Nutrition and Dietetics’ certificate program on child and adolescent overweight and was a member of the education subcommittee of the Physical Activity Guidelines for Americans Implementation Plan initiative. She co-chairs the data and evaluation sub-group of the Georgia SHAPE childhood obesity prevention initiative. Kibbe earned her bachelor’s degree in psychology from Hiram College in Ohio and her master’s degree in personnel and employment relations from Georgia State University. Having begun her career as a third-generation public school teacher, Marty Kilgore has devoted her life to helping the children of Virginia learn to make healthy choices. 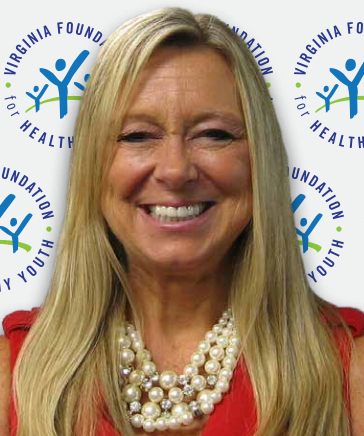 Since 2001, Kilgore has served as Executive Director of the Virginia Foundation for Healthy Youth (VFHY). Established by the General Assembly in 1999, VFHY leads statewide efforts to prevent and reduce youth tobacco use and childhood obesity. Under Marty’s leadership, the number of high school students who smoke in Virginia was cut almost in half during the last decade, and the number of middle school smokers declined by more than 65 percent. Due to VFHY’s success, the General Assembly gave the foundation responsibility for childhood obesity prevention in 2009. VFHY funds community-based programs throughout the Commonwealth, and has directly provided classroom-based educational prevention programs to almost 800,000 young peop[le since 2001. About 600,000 children each year view multimedia prevention messages on TV and the Internet created through the Foundation’s award-winning “Y do u think” marketing campaign. 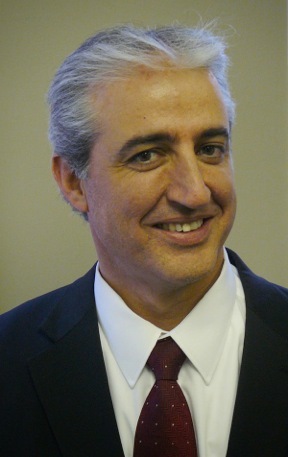 A graduate of the University of Virginia’s College at Wise, Marty has worked in Virginia state government since 1997. She served as Virginia’s Deputy Secretary of the Commonwealth from 1998 to 2001. She and her husband, former Virginia Attorney General Jerry Kilgore, have two children, Klarke and Kelsey. Brittany Ledford is the Mid-Atlantic coordinator for Action for Healthy Kids, supervising grants and school wellness efforts in North Carolina, Virginia, Maryland and Washington, D.C.
Annie LePere is the Childcare Director for Rockbridge Area YMCA responsible for afterschool programming and summer camp. She was previously the coordinator of Live Healthy Rockbridge Kids, a Virginia Foundation for Healthy Youth-funded Healthy Communities Action Team (HCAT) housed at Rockbridge Area Community Services in Lexington, Virginia. This HCAT includes partners that are not traditionally focused on health, such as the local chamber of commerce and Natural Bridge State Park. Live Healthy Rockbridge Kids is also a member of the Rockbridge Area Outdoor Partnership, a coalition led by the Rockbridge County Office of Community Development to expand and promote outdoor recreation opportunities. 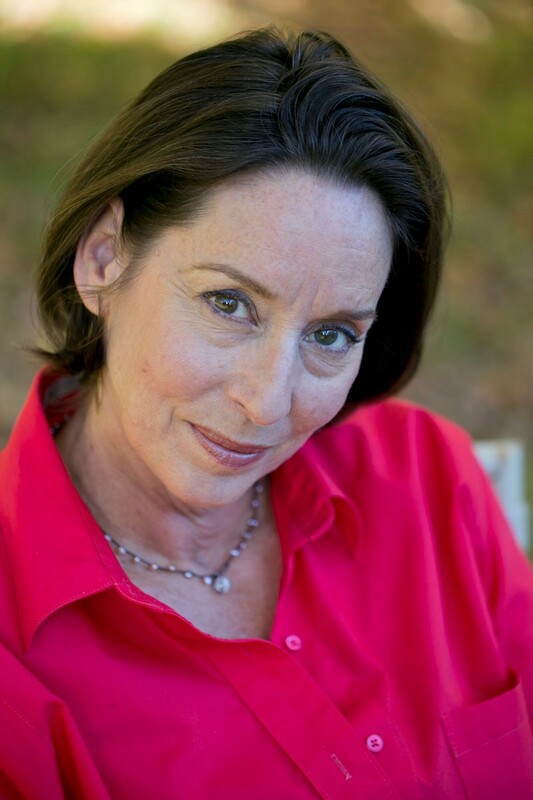 LePere is a Chesapeake, Virginia, native and graduate of the University of Richmond and Virginia Commonwealth University whose life has taken her to the Blue Ridge Mountains of Buena Vista, Virginia. She enjoys the outdoors, gardening and hiking with her husband and their two teen children. 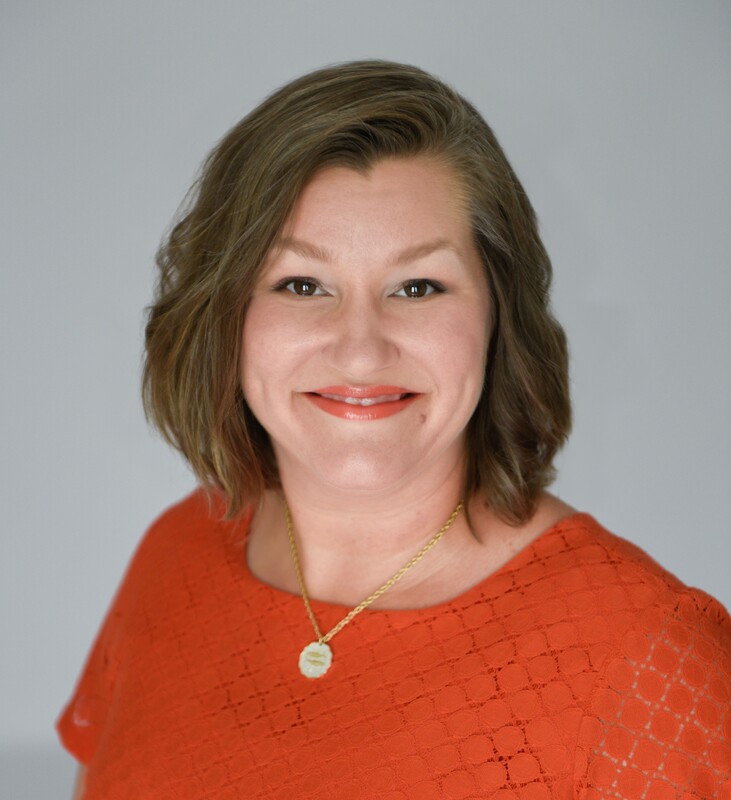 Leslie Lytle, MS, LCCE, RPYT, is the executive director of Nurture, a nonprofit focused on improving the health and wellbeing of childbearing families. She has worked in the healthcare arena for over 30 years, with an emphasis on innovative program development and cross-disciplinary collaboration. Lytle holds a master’s degree in sociology, is a Lamaze-certified childbirth educator and a registered prenatal yoga teacher. 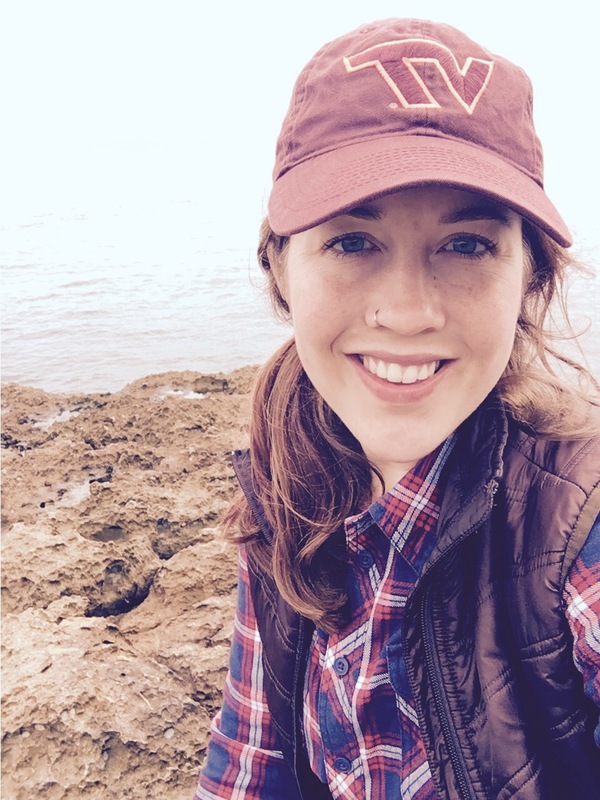 A member of the Emerging Nonprofit Leaders Program class of 2013, Lytle is the 2016 recipient of the Pat Asch Fellowship for Social Justice and a 2018 Community Trustbuilding Fellow through Initiatives of Change. She looks forward to the day when Richmond will be known far and wide as a breastfeeding-friendly city. Suzanne Marcelino joined Greater Richmond Fit4Kids as a student intern. During her internship, she served as a walking ambassador for Safe Routes to School, an initiative that encourages children to walk or bike to school. She dedicated the rest of her time as an intern into developing, editing and implementing the curriculum as a coach for Game On, Girl!, a program that educates middle-school aged girls about sports, leadership and health. Marcelino graduated from Virginia Commonwealth University with a bachelor’s degree in health, physical education and exercise science, with a concentration in health science. 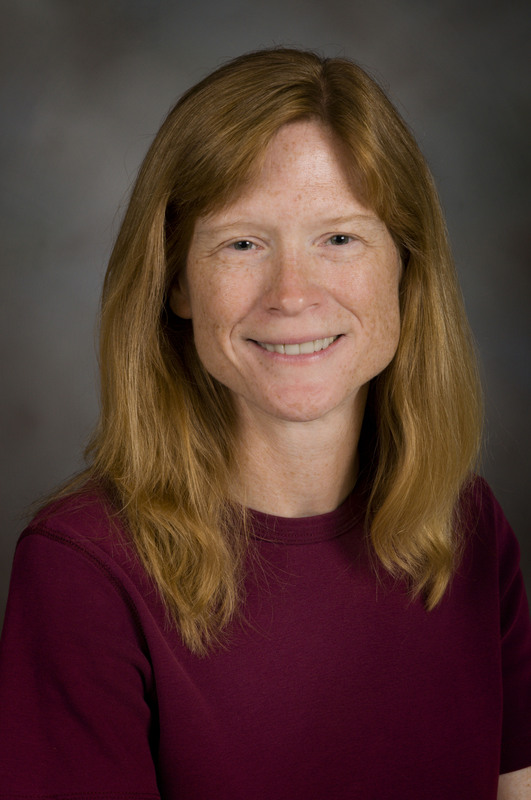 Susan L. Meacham, Ph.D., R.D., is a professor for preventative medicine and public health at Edward Via College of Osteopathic Medicine in Blacksburg, Virginia. Her current research projects include: “Effect of Boron on UV-Induced Skin Cancer,” “Health Status of Populations in Coal Mining Communities in the Appalachian Region of Virginia and West Virginia” and “Rate of Heart Disease, Cancer, Diabetes, and Obesity in Coal Production Communities in Economically Distressed Areas of Virginia and West Virginia in Central Appalachia.” Her most recent publication, “Cancer Mortality Trends in Medically Underserved Counties in Virginia,” was in the Journal of the American Osteopathic Association in 2016. Laciana McIntyre serves as the Health & Wellness Director for The Partnership for a Healthy Mississippi. She holds a Bachelor of Science Degree in Kinesiology and Master of Science Degree in Food Science, Nutrition and Health Promotion, both from Mississippi State University. As the Health and Wellness Director, she works to provide educational information and raise awareness about the impact of obesity on Mississippi. Ms. McIntyre’s efforts include developing and implementing age appropriate nutrition and physical activity education into schools, after schools, and early care and education (ECE) settings. She also oversees The Partnership’s school health councils and ECE work across the state to improve overall student health and education outcomes. Andrea Nannery is the School Nutrition Program (SNP) coordinator for the Virginia Department of Education, working to assure that every Virginia student has access to good, healthy food at school, to enhance academic success and promote lifelong wellness. 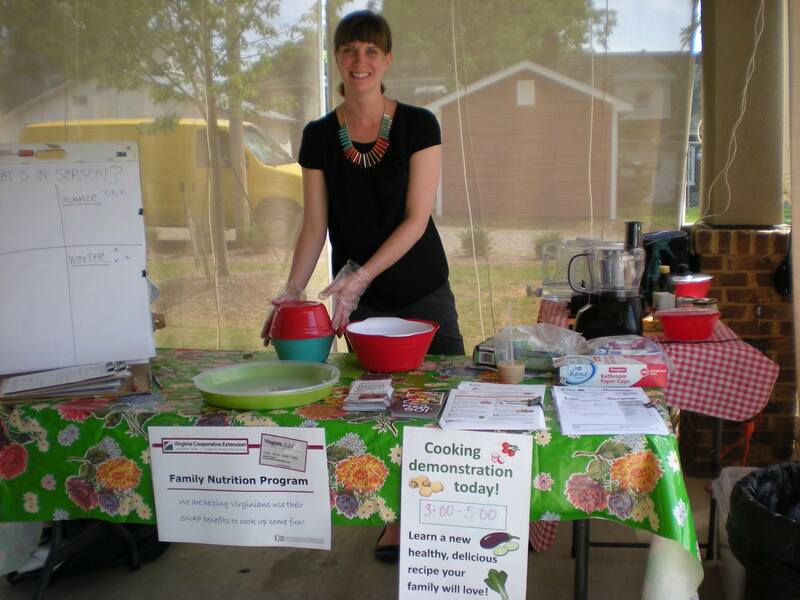 Formerly an SNP program specialist for Washington, D.C., Nannery is a registered dietitian nutritionist with experience in child nutrition programs and corporate wellness. 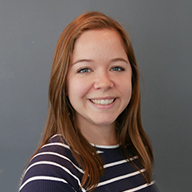 Nannery has a bachelor’s degree in nutrition and dietetics from Radford University and completed a dietetic internship through the University of Maryland, with an emphasis in information management and nutrition informatics. Natalie Ortiz learned at a young age from her grandmother, Aurora, that some of life’s best moments revolve around meals shared with family and friends. This inspired her to earn a bachelor’s degree in culinary arts and hospitality business management. 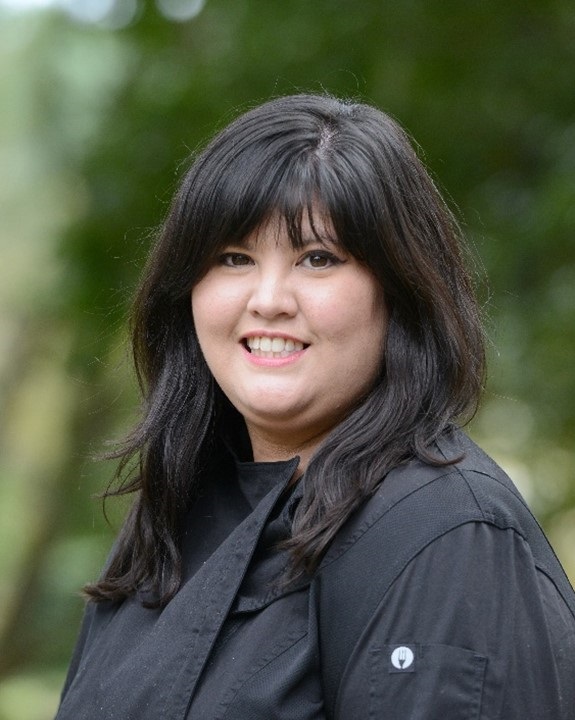 Prior to joining Faquier County’s FRESH Team, she worked for one of the area’s largest corporate and social caterers and is the owner and chef of Aurora’s Family Table, a personal chef business that gave her the pleasure of providing busy families with nutritious and delicious customized meals in line with their dietary needs. Ortiz’s joy for growing food and cooking with children was first realized when she worked as a Montessori teacher’s assistant in college. 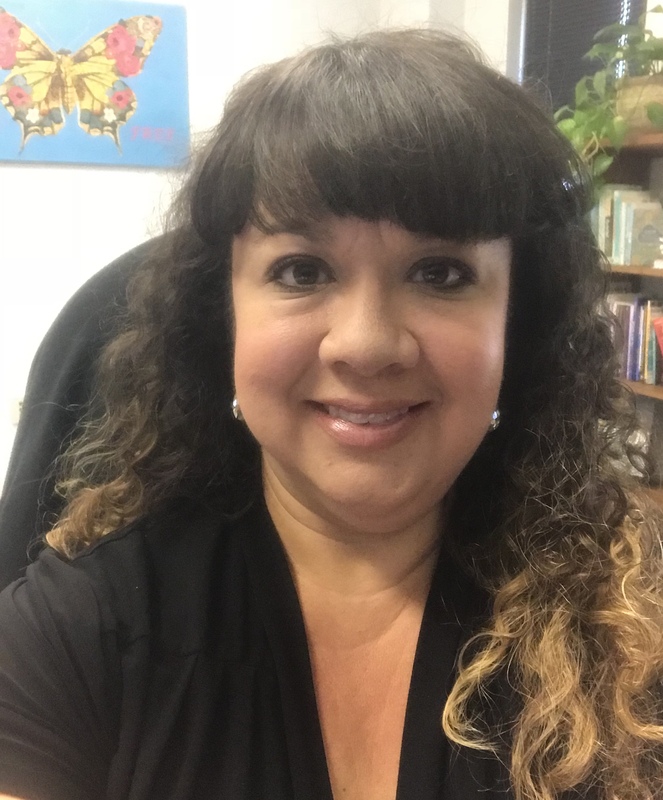 In her spare time, Ortiz teaches recreational cooking classes, volunteers in various community programs and visits state parks with her husband and 4-year-old Lab mix, Sasha. Tonya Pickett is a SNAP-Ed agent with Virginia Cooperative Extension’s Family Nutrition Program. Through her position, she helps build community capacity for improving food security, nutrition, health and physical activity for low-income youth and families, including forging partnerships within seven counties in Southwest Virginia. 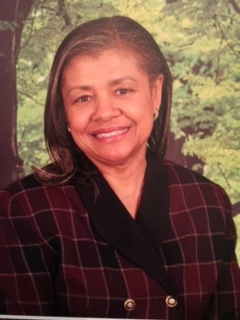 She currently serves on the board of Salem Area Ecumeincal Ministries and was instrumental in helping apply for the group’s Healthy Communities Action Team (HCAT) grant from the Virginia Foundation for Healthy Youth. This is the third VFHY-funded HCAT group that Pickett has been a member of in Southwest Virginia. Pickett is passionate for the people whom she serves, because she grew up in generational poverty and was a low-income, first-generation college graduate. Tonya Price has been a registered dietitian since 1998, spending 17 years as a practicing clinician addressing issues such as obesity and chronic disease. She received her bachelor’s degree in human nutrition and foods from Virginia Tech and her master’s degree in health sciences, nutrition and physical activity from James Madison University. In 2015, she embarked upon a shift in her career, entering the world of higher education and pursuing her doctorate in health education at A. T. Still University. 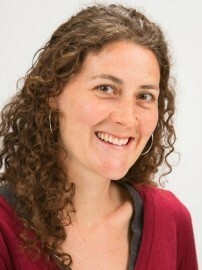 Her area of research is implicit and explicit weight bias and its influence on the provision of effective health care. Currently, she is a faculty member in health promotion at the University of Lynchburg and a certified health education specialist. Kathleen Reed is the agriculture and natural resources extension agent for the Virginia Cooperative Extension in Roanoke, Virginia. Reed received her master’s degree in community sustainability from Michigan State University’s College of Agriculture and Natural Resources. 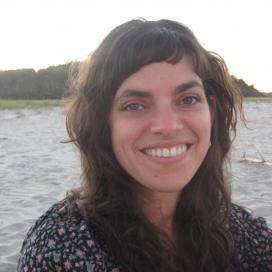 She previously worked with the Southside Community Land Trust in Providence, Rhode Island, and Karl Family Farms in the Hudson Valley region of New York state. Reed joined the Virginia Cooperative Extension in 2016. Sara Rothenberg, MPH, is instructor of pediatrics at Eastern Virginia Medical School (EVMS) and assistant director of the Consortium for Infant and Child Health (CINCH). Rothenberg’s current research and community programming focuses on youth tobacco-use prevention and obesity prevention through a policy, systems and environmental change approach. Rothenberg currently directs two projects funded by the Virginia Foundation for Healthy Youth (VFHY) to decrease tobacco use, prevent obesity and promote breastfeeding. Rothenberg works closely with community partners and decision-makers to influence public health policy and promote prevention and education to improve health outcomes and reduce disparities in the Hampton Roads community. Joseph “J.R.” Royston earned a bachelor’s in business administration and a Master of Education degree from Mary Washington University. He also has an endorsement in health and physical education. Teaching business and adaptive physical education for six years at Cedar Lee Middle School in Fauquier County Virginia, he also served as the school’s athletic and intramural director. An avid outdoorsman and sports enthusiast, J.R. spends his days off hunting and fishing, coaching Little League baseball or spending time with his three sons and his wife, who is an eighth-grade English teacher at Cedar Lee Middle School. 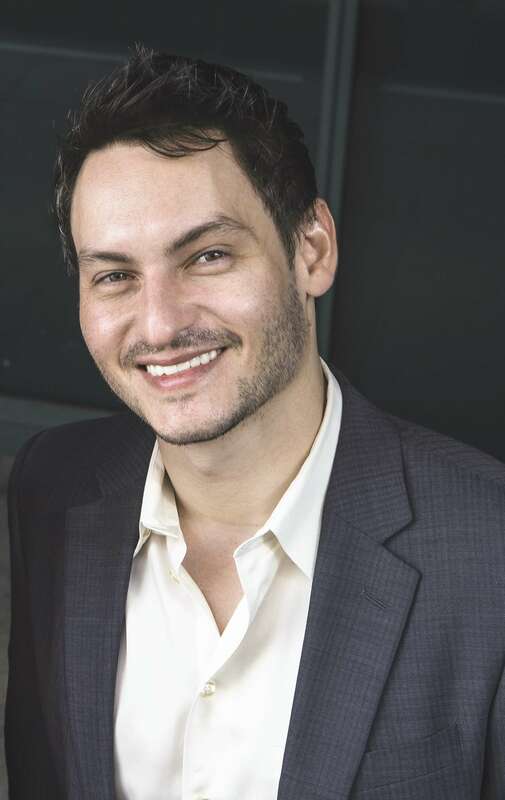 Daniel Saggese has been the director of marketing for the Virginia Foundation for Healthy Youth for more than a decade, and has led the establishment of Y Street, one of the premier youth engagement programs in the country. He is also responsible for numerous multimedia prevention campaigns that have helped drive down the youth tobacco-use rate in Virginia by more than half. Saggese is an M.B.A. recipient from Robert Morris University in Pittsburgh and holds a bachelor’s degree from Virginia Commonwealth University. Kayleigh serves as the School Health Coordinator at The Partnership for a Healthy Mississippi for the East Biloxi area. She provides technical assistance to K-12 schools, early childcare centers, and after school programs. 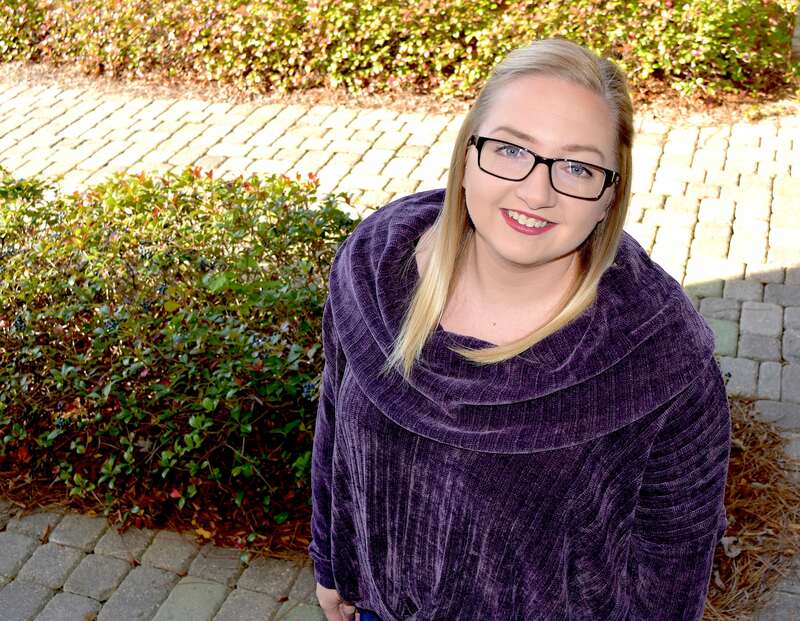 Kayleigh graduated from the University of Southern Mississippi in 2016 with a Bachelor’s of Science Degree in Public Health with an emphasis in Health Promotion and Education and a minor in Psychology. Her educational background has helped her tailor the technical assistance she provides to each specific setting. 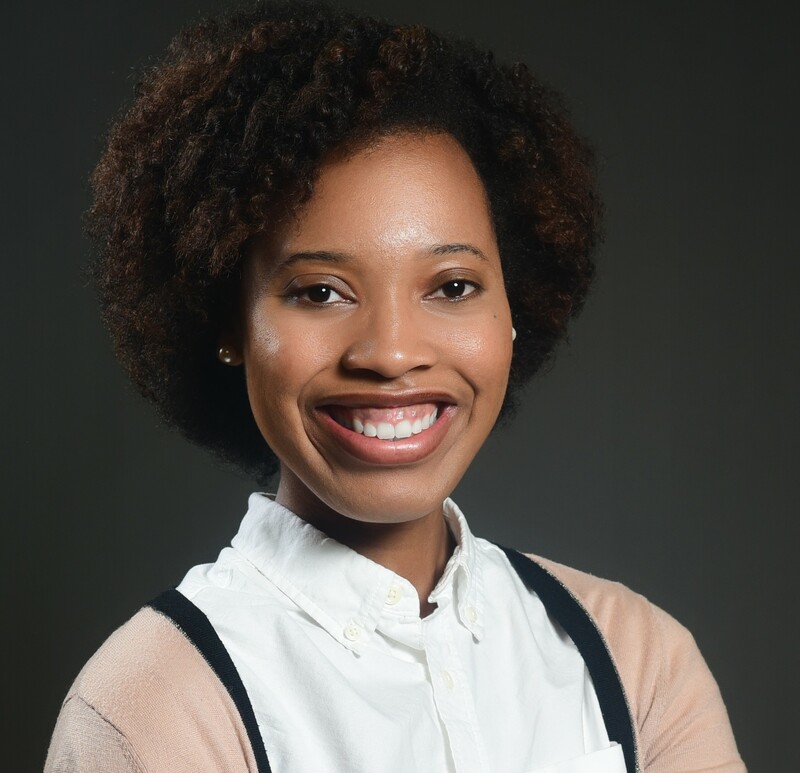 Danyel Smith is a health psychology doctoral student at Virginia Commonwealth University. 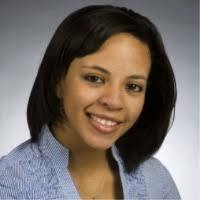 Her research interests include health behavior development in youth, particularly minority youth. 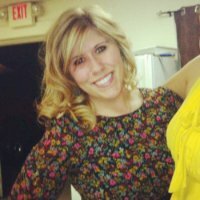 Smith is a long-term volunteer and former volunteer coordinator and program associate with Greater Richmond Fit4Kids. 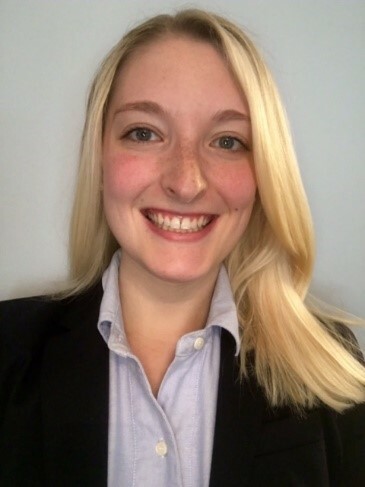 Catherine Spacciapoli is a program associate with No Kid Hungry Virginia, working with school divisions and partner organizations to increase access to and awareness of childhood nutrition programs in Virginia. She manages the Breakfast after the Bell and Afterschool Meals grants for the state, with the goal of supporting schools and sponsors in expanding their programs. She also leads the Virginia Breakfast Challenge, a statewide initiative to increase participation in and excitement for school breakfast. Prior to joining the No Kid Hungry Virginia team, Spacciapoli worked with the Partnership for Public Service leading logistics and evaluation for leadership development programs geared to federal managers. She is a graduate of the University of Richmond, where she studied Latin American studies. A member of the local Autism Speaks Walk committee in Richmond, Virginia, she spends her free time as a pet sitter and amateur cook. Sarah Steely is the senior program manager with No Kid Hungry Virginia. In this role, she liaises with statewide stakeholders, coordinates team communications and goals and develops data-informed engagement strategies to increase awareness of and access to the federally-reimbursed school nutrition programs. During her time at No Kid Hungry Virginia, school breakfast participation among free/reduced lunch eaters grew 5 percent, ensuring that more than 27,000 new students have daily access to a healthy morning meal. Steely also contributed to sponsorship and service increases in the At-Risk Afterschool Child and Adult Care Food Program (CACFP) and Summer Meals Program. She is a graduate of the University of Virginia (Wahoowa!) and spent her high school summers serving summer meals in her Pennsylvania hometown. She currently lives in Charlottesville, Virginia, with her rescue puppy, Penny. Mary Dunne Stewart is the CEO of Greater Richmond Fit4Kids, a regional nonprofit with the mission to improve children’s wellness through physical activity and healthy eating. Fit4Kids reaches more than 10,000 children annually through their innovative programs that strive to make healthy habits fun. Stewart holds a master’s of social work from Virginia Commonwealth University and an undergraduate degree from the College of William & Mary. 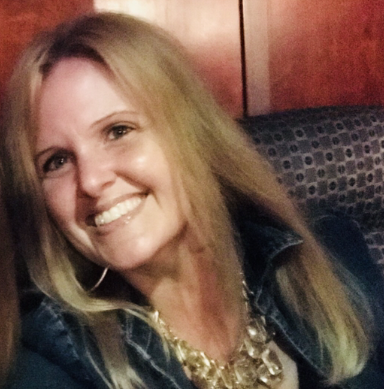 Jackie Tederick is the wellness integration coordinator for the Commit to be Fit program at Rappahannock County Public Schools. Tederick attended Radford University for her Bachelor of Science in Physical Education and initially taught high school physical education. The Commit to be Fit Program has allowed Tederick to pursue her passion for motivating students and adults in the community to lead a healthier lifestyle. Tederick is a certified personal trainer. 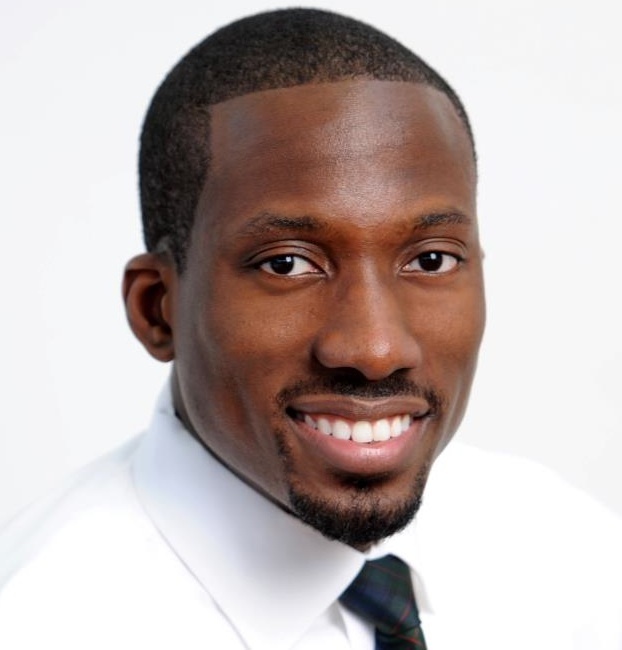 Along with being a master certified health coach, Tederick is a certified L.E.A.N. health coach in the belief that optimal health is achieved through a balanced approach to wellness in four areas: Lifestyle, Exercise, Attitude and Nutrition - how we live, move, think and eat. 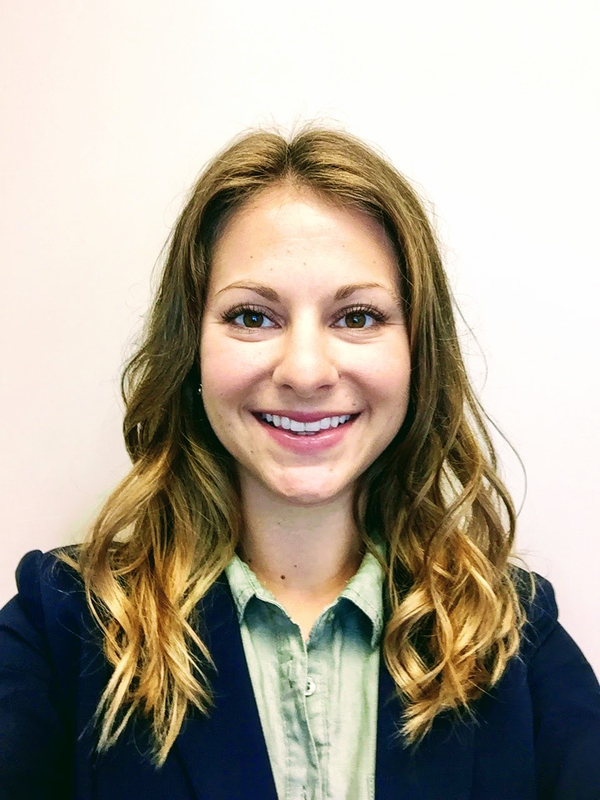 Elizabeth Theriault is chronic disease prevention supervisor at Richmond City Health District, providing strategy and leadership to improve residents’ health outcomes by developing programs, policies and environmental strategies to prevent chronic diseases. Theriault has over 15 years’ experience working in the social sector in the United States and abroad. Her work has focused on public health education, nutrition and food systems. Theriault has designed and implemented health education and prevention curriculums to be implemented in communities in New Zealand, England, Boston and Vermont. She earned a bachelor’s degree from Wheaton College and a master’s in public health and social work from Boston University. Kristin Weinzapfel is the volunteer and club coordinator for FRESH. She obtained her bachelor’s degree in psychology from Meredith College in Raleigh, North Carolina. After college, Weinzapfel worked in retail management then relocated to Virginia, where she managed a team of technical writers for a Department of Defense/Health Affairs project. When she and her husband, a Fairfax County firefighter, started their family, she stayed at home to raise her children but soon found she had a love for education. She has 20 years of experience in education from kindergarten through 12th grades. She primarily taught English in grades 6-12 but has also taught Latin, logic, history and research classes. Additionally, Weinzapfel has been self-employed as a contract editor and English tutor for the past eight years. In her time off, Weinzapfel likes spending time with her family, running, coaching cross country and track, studying foreign languages, off-roading and off-grid camping. Rebecca Wilder is a Rockbridge County, Virginia, native. She received a bachelor’s degree in human nutrition, foods and exercise from Virginia Tech and a master’s degree in education from Liberty University. Wilder serves as the FCS SNAP-Ed Extension Agent housed in the Virginia Cooperative Extension office in Rockbridge County. Wilder coordinates the planning, development and implementation of the SNAP education volunteer and community-based program within the Virginia counties of Rockbridge, Botetourt, Allegheny, Bath, and Highland. She also develops and implements programs that further Virginia Cooperative Extension initiatives and builds community capacity by forging partnerships in opportunistic areas of improvement for SNAP-eligible individuals and families. 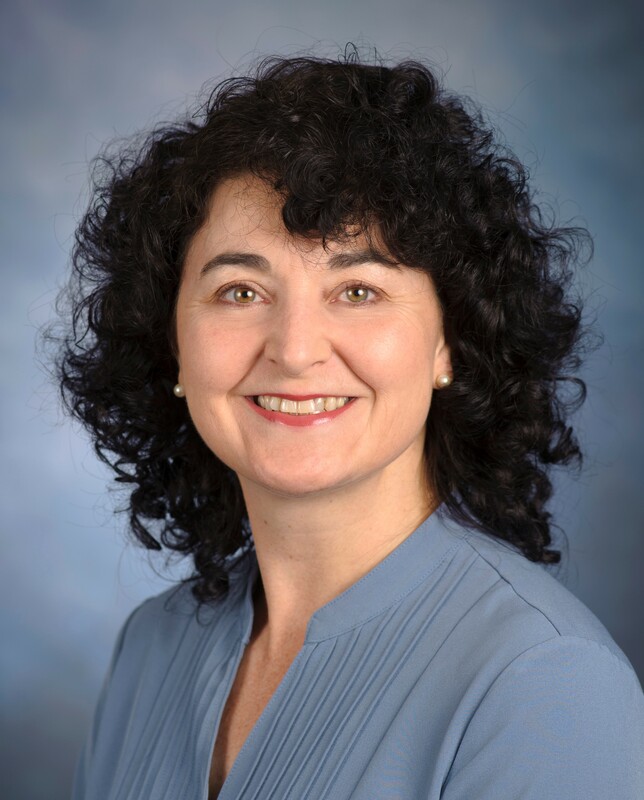 Chetta Yonaitis has served as the Special Nutrition Programs Manager for the Virginia Department of Health (VDH) since 2013. Prior to her role with VDH, she was a sponsor of both the Child and Adult Care Food Program and the Summer Food Service Program for a local nonprofit organization in Richmond, Virginia. She holds an undergraduate degree in English and a master’s degree in education. Over the years, her role in combating child and adult hunger has evolved into not only a career path, but also a passion. Yonaitis spends her free time traveling to swim meets in support of her daughter Caroline, 14, a competitive year-round swimmer, and hanging out with their three dogs. Daniel Carey, M.D., was appointed Secretary of Health and Human Resources by Virginia Governor Ralph Northam in January 2018. Prior to his appointment, Dr. Carey worked as a cardiologist and served as Senior Vice President and Chief Medical Officer at Centra, where his responsibilities included information technology services, patient quality and safety efforts, performance improvement initiatives, and functions of the medical staff at Centra’s 3 acute care facilities. A longtime Virginia resident, Dr. Carey graduated from the University of Virginia and Harvard Medical School. He currently resides in Richmond with his wife Kim, who is a registered nurse. In his spare time, Dr. Carey enjoys being outside, biking, and playing tennis, and is a regular at Richmond’s Downtown YMCA. 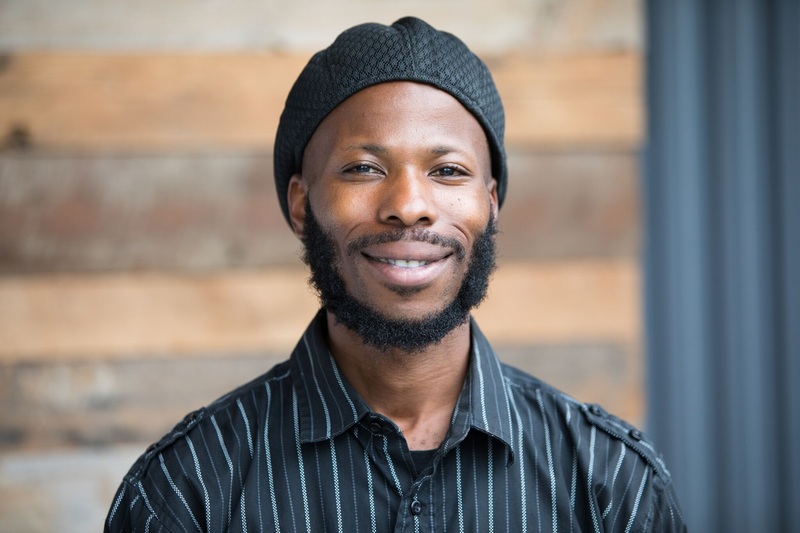 Community organizer Omari Al-Qadaffi empowers residents to oppose community exclusion in the City of Richmond. Leveraging past careers in software engineering and sales, Al-Qadaffi is skilled in identifying resources to solve complex problems as well as communicating those concerns and solutions to diverse groups. His belief that the exclusion of communities from public and private resources in specific geographies is the cause of generational poverty, food deserts and other socioeconomic and health disparities prompted him to found the advocacy group, Leaders Of the New South - Community Council as well as the Richmond Food Justice Alliance. Al-Qadaffi is a Richmond native and father of two. He holds a bachelor's degree in computer science from Virginia Commonwealth University. 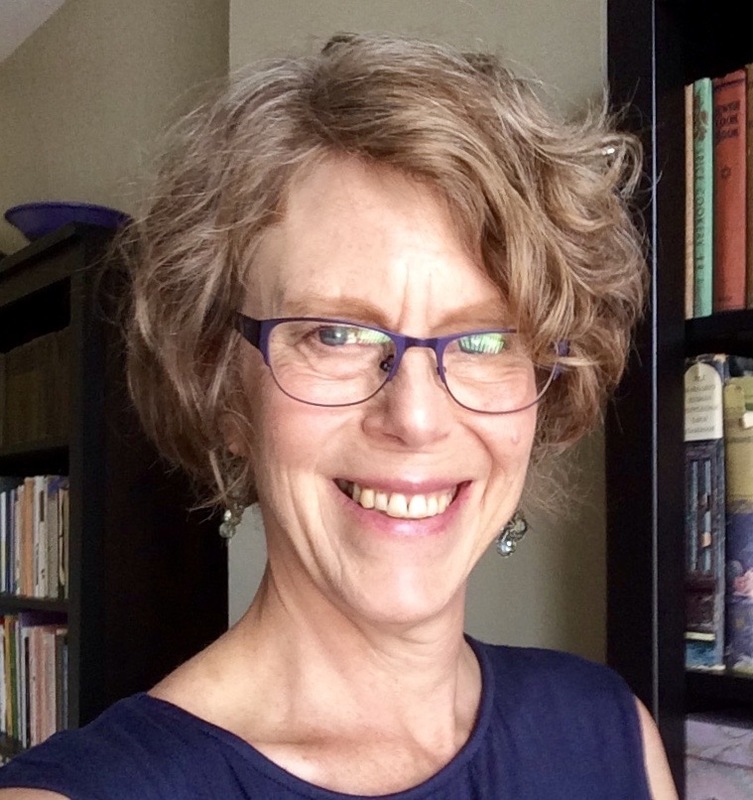 Elizabeth Borst is executive director with Virginia Community Food Connections (VCFC), a 501(c)3 nonprofit based in Fredericksburg, Virginia. VCFC’s mission is to connect people, producers and communities to increase consumption of healthy, Virginia Grown fruits and vegetables. VCFC operates SNAP and Virginia Fresh Match incentive programs at eight farmers markets in Central Virginia, partnering with community markets to provide equitable access to affordable local foods. Working with many community partners, VCFC addresses food insecurity in the Fredericksburg region through innovative produce distribution programs and by facilitating the Fredericksburg Food Access Forum, a local food alliance. Borst is also a co-lead of Virginia’s statewide Nutrition Incentive Network, Virginia Fresh Match, and implements the USDA Food Insecurity Nutrition Incentive (FINI) grant to support nutrition incentives at Virginia farmers markets and grocery stores. 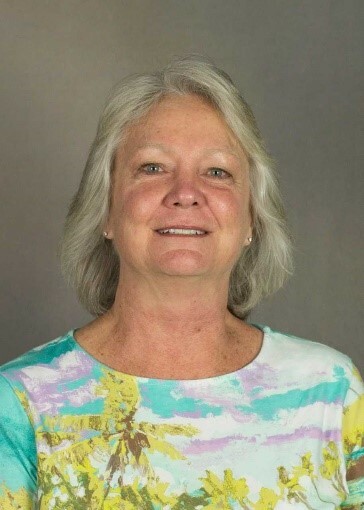 Maureen McNamara Best is the director of strategic planning for Local Environmental Agriculture Project (LEAP), a 501(c)3 nonprofit based in Roanoke, Virginia. LEAP’s mission is to nurture healthy communities and resilient local food systems. To tackle the complicated problems in our food system, LEAP works closely with community members, organizational and government partners, and farmers. Best is also co-lead of Virginia’s statewide Nutrition Incentive Network, Virginia Fresh Match, and oversees the USDA Food Insecurity Nutrition Incentive (FINI) grant on behalf of regional organizations, farmers markets, and grocery retails across the Commonwealth. She has more than 15 years of experience working with food, agriculture and community. 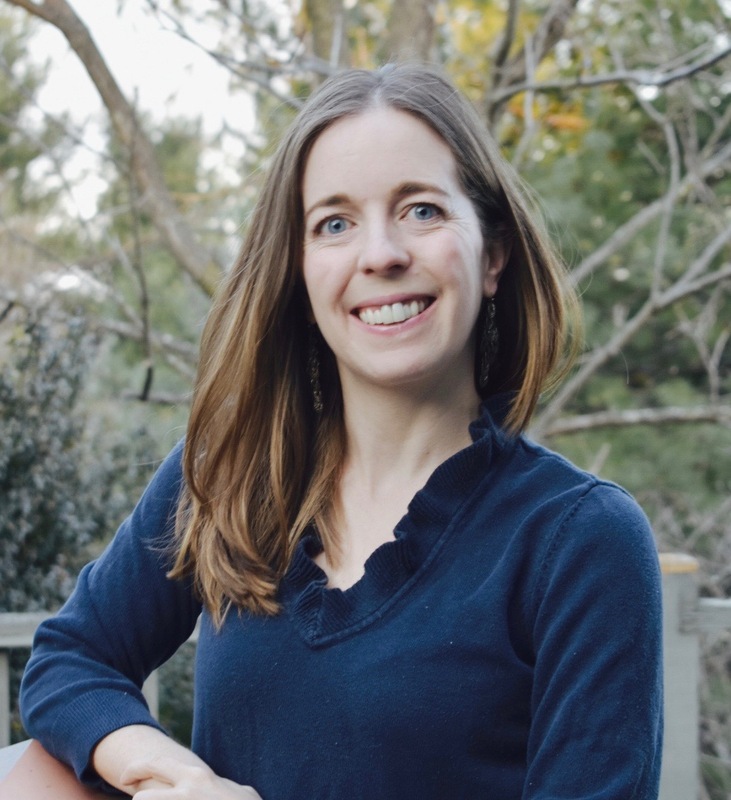 Her work and professional experience is wide-ranging and includes teaching high school agriculture in Raleigh, North Carolina, working with migrant farmworkers in eastern North Carolina and in the Colorado plains, performing food safety inspections in Boulder, Colorado, and studying the economic viability of the local food system in northern Colorado. Best holds a master’s degree in anthropology from Colorado State University. 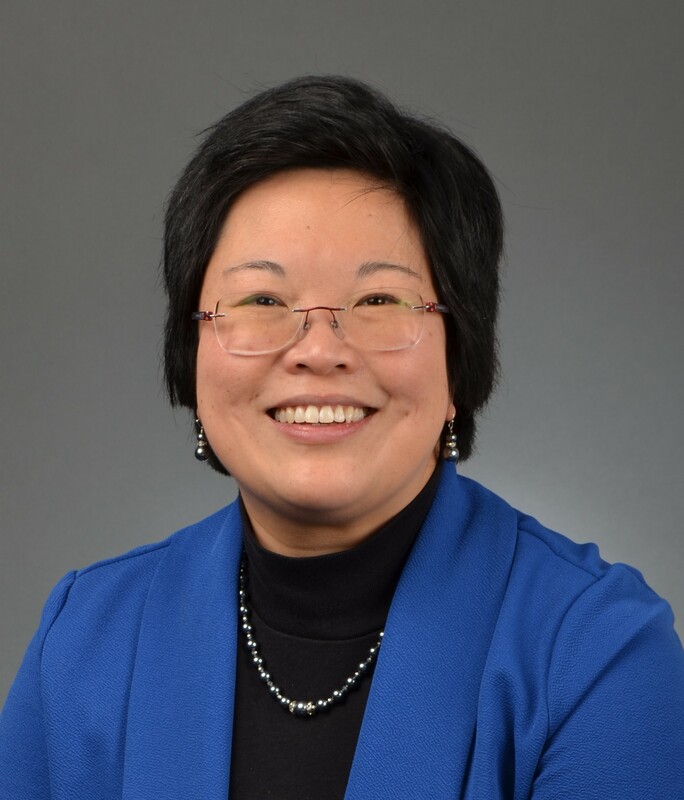 Sandy L. Chung, M.D., FAAP, FACHE, is the current chair of the Board of Trustees for the Virginia Foundation for Healthy Youth and president of the Virginia Chapter of the American Academy of Pediatrics. As a pediatrician for more than 20 years, she is CEO of Trusted Doctors, a pediatric group in Northern Virginia with more than 60 providers in 13 locations. Chung is also CEO of Health Connect IPA, a clinically integrated network of 300+ primary care providers in Northern Virginia. Currently, she is active in multiple state and national organizations, with a focus on mental health, advocacy and health information technology. 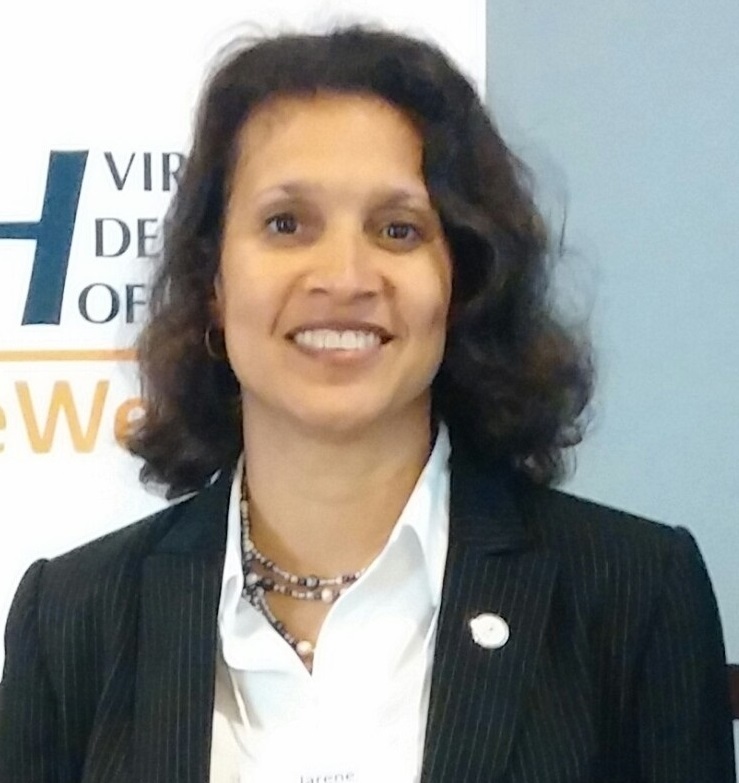 She serves as medical director for a statewide pediatric mental health initiative called Virginia Mental Health Access Program (VMAP), a member of the Governor’s Workgroup on Trauma Informed Care, as director of informatics for Children's National Pediatric Health Network, as a member of the Connect Virginia Governing Board, and as a member of the Advisory Council for Carequality. At the national AAP, Chung serves on the Executive Committee for the Council on Clinical Information Technology, the Child Health Registry Incubator Group, and was recently on the Taskforce for Policy Development. She is an associate professor at Virginia Commonwealth University Health Sciences and an associate professor at Georgetown University School of Medicine. Chung has four amazing children and her interests include health information technology, health policy, practice management and advocacy for children and pediatricians. Prior to joining LRN, Mrs. Northam taught high school biology. Recognizing a need for STEM in elementary education, she became a national award-winning science specialist and worked to develop an inquiry-based, hands-on curriculum for students in grades K through 5. The first lady was appointed to the board of trustees of the Science Museum of Virginia, and she also is a board member of the innovative E3 School in Norfolk. The Northams have two adult children: Wes, a neurosurgery resident; and Aubrey, a web developer. Meredith Ledlie Johnson manages the Food Access and Availability Initiative for Virginia Cooperative Extension’s Family Nutrition Program, designed to ensure that all Virginians have access to enough healthy, culturally appropriate food in their communities through increasing access to farmers markets, gardening and healthy retail outlets. She holds a master's degree in social work with a concentration in community organizing from Hunter College, CUNY. Before living in Virginia, Johnson worked as a farmers market manager for Greenmarket in New York City and as an urban park advocate with New Yorkers for Parks. She is excited by the possibilities offered by the local food movement to strengthen the resiliency of Virginia’s families and communities. Dr. Danny Avula, M.D., is director of the Richmond City and Henrico County Health Departments. He is a public health physician specializing in pediatrics and preventive medicine, and he continues to practice clinically as a pediatric hospitalist. After graduating from the University of Virginia, he attended medical school at the VCU School of Medicine, and completed residencies at VCU and Johns Hopkins University, where he also received a master’s in public health. He is an affiliate faculty member at VCU, where he regularly serves as an adviser and preceptor to graduate and medical students. 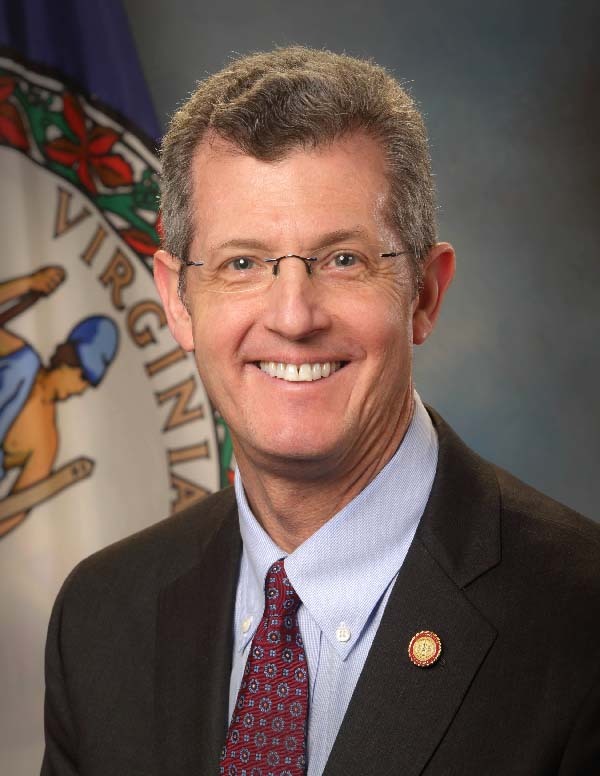 Avula was appointed by Virginia Governor Terry McAuliffe to the State Board of Social Services in 2013, and currently serves as its chairman. He also serves on a number of community boards including Communities in Schools and the Richmond Memorial Health Foundation. At home, Avula's time is devoted to life with five kids and to learning how to be a good neighbor in the rapidly changing community of Church Hill, where he has lived for the past 15 years. His work has been featured nationally by the CDC, MSNBC, Christianity Toda, and on the TED circuit with his TEDx Talk entitled "Dependence isn't a Dirty Word." Dr. Kofi D. Essel, MD, MPH, FAAP, is a board-certified community pediatrician at Children’s National Health System in Washington, D.C. 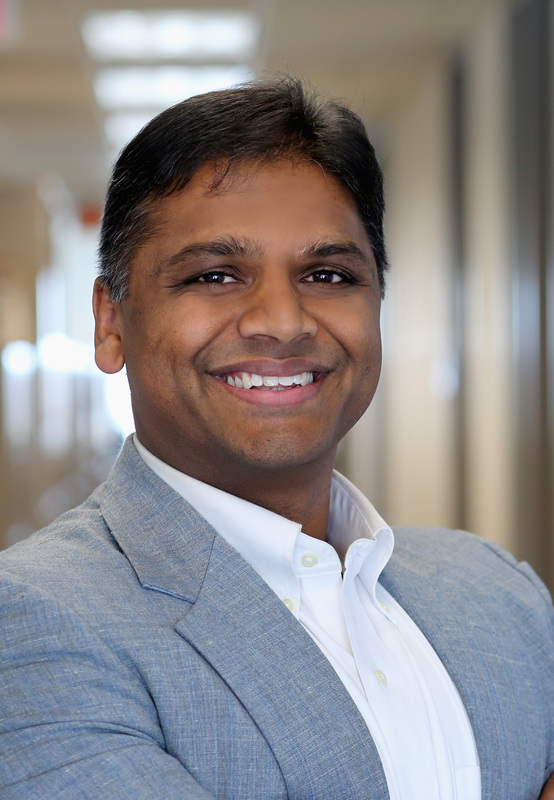 He also serves as an assistant professor of pediatrics, the director of the George Washington University School of Medicine’s Community/Urban Health Scholarly Concentration and director of the Clinical Public Health Summit on Obesity. Essel has dedicated his career to advocacy and research around health care training, health disparities and community engagement, with a special interest and national recognition in the areas of addressing obesity and food insecurity in families. He serves as a key contributor and consultant to multiple local/national food and nutrition organizations. He was nationally recognized by the Alliance for a Healthier Generation for helping to create an innovative curriculum to enhance pediatric resident trainee skills on obesity management. Essel also assisted with developing a national toolkit for pediatric providers to better identify and screen for food insecurity in their clinical settings while serving as an anti-hunger advocate at D.C. Hunger Solutions and the Food Research & Action Center. He is actively engaged in population health initiatives that strengthen community-clinical ties to improve the prevention, management, and treatment of obesity in underserved areas in Washington, D.C.
Essel grew up in Little Rock, Arkansas, and attended the historic Little Rock Central High School, the site of an infamous 1957 battle over racial desegregation of schools. He earned a bachelor's degree from Emory University with a focus on human biology/anthropology and earned his medical degree and master's in public health in epidemiology from George Washington University. He completed pediatric residency training in a select community advocacy track and further academic training in a specialized General Academic Pediatric fellowship at Children's National Health System in Washington, D.C. Essel is happily married with two young children who keep him very busy and active. Laurie Fritsch holds a bachelor’s degree in health and physical education from Virginia Tech, from which she also received her master’s degree in health and physical education. After completing graduate school, she began working at Virginia Tech's Schiffert Health Center. Fritsch holds several certifications, including being a certified health education specialist through the National Commission for Health Education Credentialing, Inc; a certified strength and conditioning specialist through the National Strength and Conditioning Association; certified in basic life support for healthcare providers (CPR/AED) through the American Heart Association; and a certified tobacco treatment specialist through the Mayo Clinic. Her professional affiliations include being a member of the National Commission for Health Education Credentialing and the Bacchus Network. 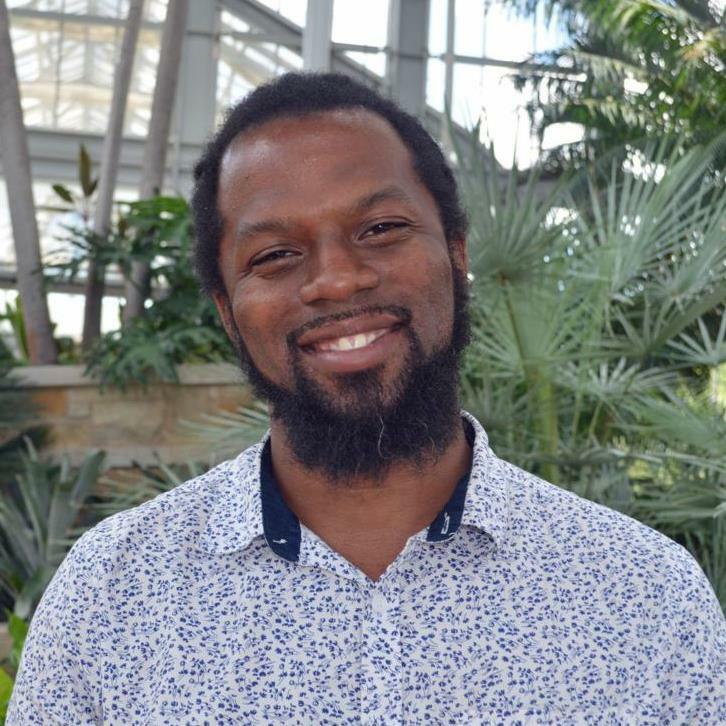 As manager of community engagement at Lewis Ginter Botanical Garden, Duron Chavis coordinates innovative and dynamic initiatives around the topics of urban agriculture and food security in a culturally relevant way. Chavis administrates the Ginter Urban Gardener program, a 12-week, neighborhood-centric community greening training and cultivates collaboration and partnership for the creation and sustainability of public green spaces through Beautiful RVA, a cross-sector, multi-disciplinary social movement dedicated to creating a more beautiful Richmond region. In 2009 Chavis launched the Richmond Noir Market, a Saturday pop-up farmers market targeting low-income communities located in what the USDA has designated as food deserts in Richmond, Virginia. In 2012 he developed McDonough Community Garden and began transforming green spaces throughout the Richmond region into urban gardens, farms, orchards and vineyards. He served as one of 40 community facilitators for dialogues on concentrated poverty throughout the Richmond region on behalf of Virginia Center for Inclusive Communities, which paved the way for the development of the city of Richmond’s Office of Community Wealth Building. He also served on both the Food Policy Task Force as well as the Anti-Poverty Taskforce for the City of Richmond and participated as a member of the inaugural Citizen’s Advisory Board for the Office of Community Wealth Building. Chavis has received numerable accolades for his work. He served in 2011 as a Clean Air Ambassador on behalf of Earthjustice and the Hip Hop Caucus. He received Style Weekly’s Top 40 under 40 award in 2010 and is an alumnus of Leadership Metro Richmond’s class of 2011, and was on the Style Weekly Power List in 2014 and 2015. Chavis served as the inaugural director of the Harding Street Urban Ag Center, a recreation center re-purposed into an indoor farm by Virginia State University. In 2017, Chavis was honored by the Richmond Times-Dispatch as a Person of the Year. Alyia Gaskins is a tireless advocate for children’s health. She has nearly a decade of public health and urban planning experience and is committed to designing and building better cities where all people have the resources they need where they live to reach their full potential. She is a dynamic public speaker and creative health strategist who is sought after for her experience in helping municipal leaders develop and implement policies and programs to help children grow up healthier and thrive. As assistant director of networks and programs for the Center for Community Investment, she helps communities mobilize resources such as land, investment capital and expertise to expand access to healthy food, affordable housing and transit. As senior associate at the National League of Cities, Gaskins helped hundreds of municipalities pass policies to help children grow up healthier and thrive, with an emphasis on promoting access to healthy food though former First Lady Michelle Obama’s Let’s Move! Cities, Towns and Counties initiative. Gaskins recently founded CitiesRx, LLC, a consulting firm that specializes in helping municipal leaders and the communities they serve create new models of cross-sector partnerships dedicated to promoting healthier communities. 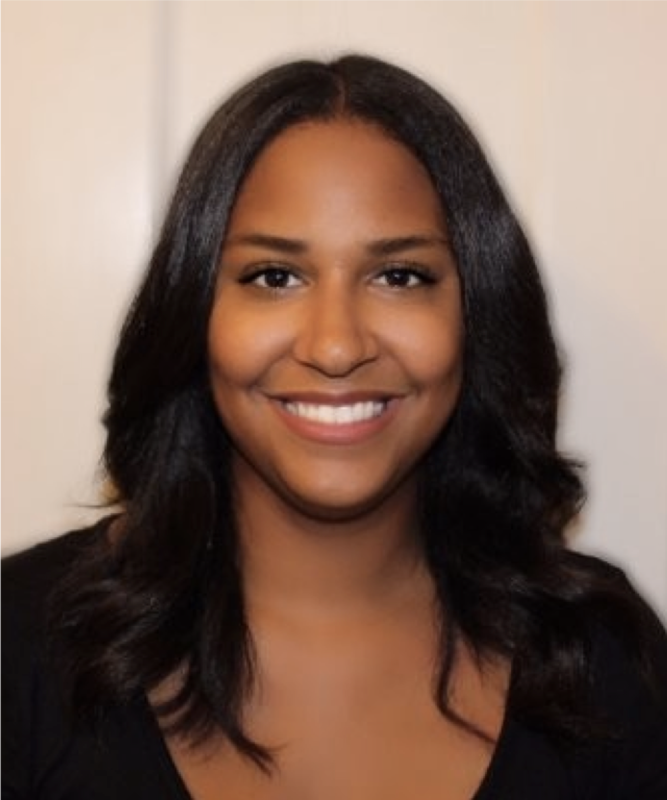 Gaskins serves on the Alexandria Transportation Commission, Women of Color in Community Development Board of Directors, Prevention Connections Board of Directors, Make-A-Wish Community Council and Good Shepherd Housing Leadership Council. In 2018, she was recognized as one of the Alexandria Chamber of Commerce’s 40 Under 40 honorees. She has a bachelor's degree in medicine, health and society from Vanderbilt University, a master's of public health degree from the University of Pittsburgh and a master's of urban and regional planning degree from Georgetown University. Kathleen Galvin graduated from Boston University in 1978, with a Bachelor of Arts in economics (with distinction) and geography. She earned her master's degree in architecture from the University of Virginia in 1986. 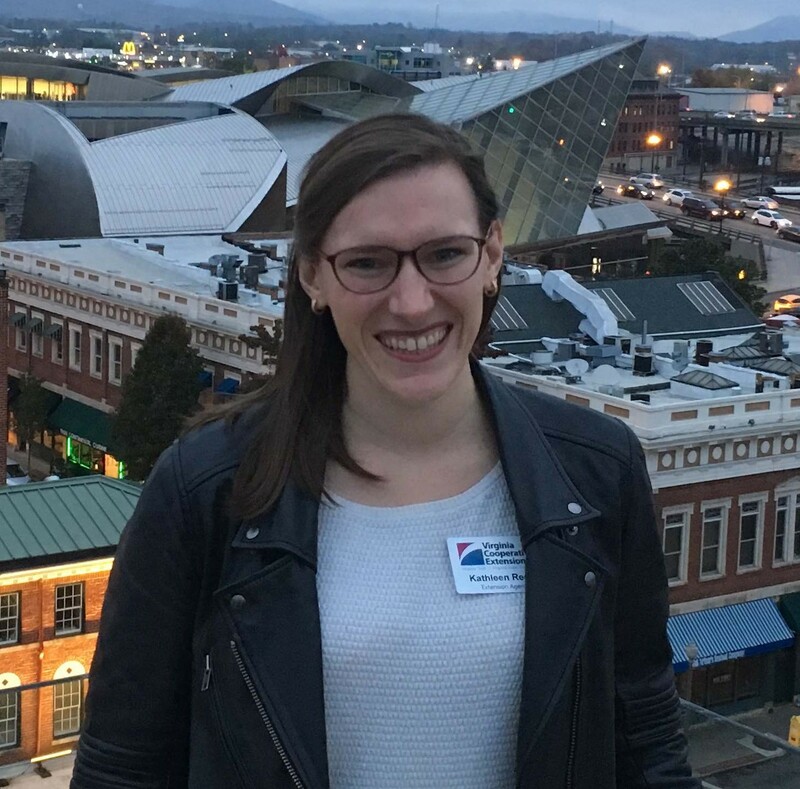 She is now a registered architect with her own practice in Virginia and has been the lead urban designer for such projects as the Crozet Master Plan (which won the 2005 Congress for New Urbanism Charter Award for the Region) and the Places29 Master Plan and Transportation Study. 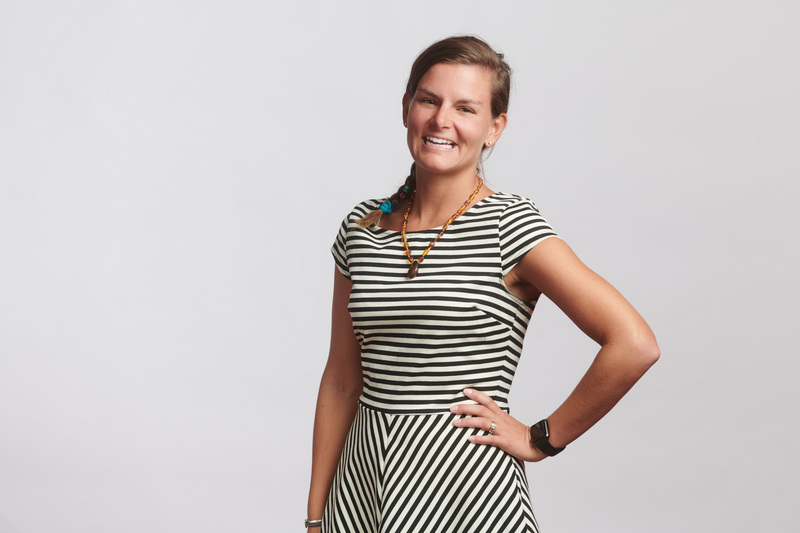 She is currently an adjunct faculty member at the University of Virginia, where she teaches sustainable neighborhood design and applied planning and urban design practice. In 2017 she received the Virginia American Institute of Architects (AIA) Award for Distinguished Achievement. Galvin has served on the Charlottesville City School Board and is currently serving a second term on the Charlottesville City Council. Her focus on Council has been: creating career pathways out of poverty for low-income residents; revitalizing areas in the city so as to provide more jobs, amenities and affordable housing without displacing existing low-wealth residents (i.e. the Strategic Investment Area Pla,n which won the 2018 Congress for New Urbanism Award for the Neighborhood, District and Corridor); working with the Friendship Court Community to realize their vision for a healthy, safe, revitalized neighborhood with new public parks, an early childhood development center, retention of all existing 150 section 8 publicly assisted units with a mix of new workforce and market rate units as deemed appropriate by the existing residents (which won the 2018 Virginia Governor’s Inclusive Community Award); transforming the West Main Street corridor with 400% more tree canopy, wider sidewalks and protected bike lanes so that it is safe and attractive for all users; and making city government more effective. Ruthie Brown attends Giles High School, where she is a student athlete, student ambassador and healthy youth advocate. Since 2017, Ruthie has been a member of the Virginia Foundation for Healthy Youth's teen volunteer group, Y Street. 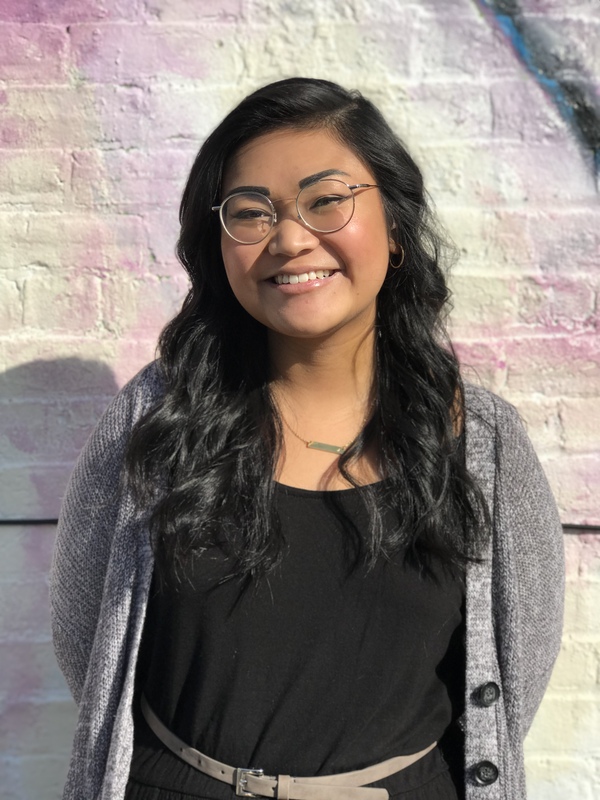 As a Y Street Leadership Team Member, she has engaged local stakeholders about the importance of improving school nutrition and increasing school breakfast participation. 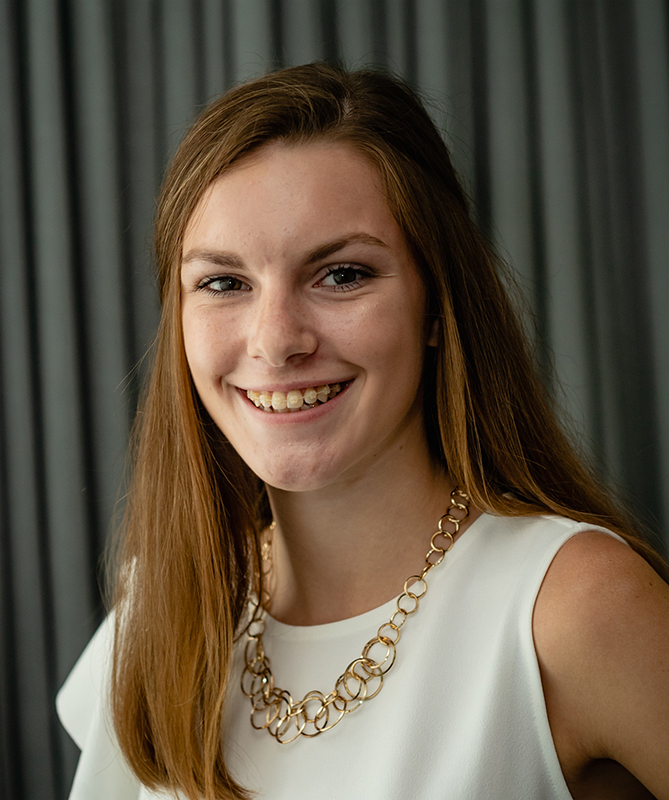 As a member of Y Street, she has led events at her school and has spearheaded efforts for Feed Virginia’s Day of Action, The Virginia Breakfast Challenge, and National School Breakfast Week. In 2018, Ruthie met with Giles County’s nutrition director to discuss ways in which they could work together to increase school breakfast participation. Using what she learned, Ruthie formed a breakfast team at her school, comprised of students, staff, and faculty, to strategize on ways to address the barriers students face when accessing school breakfast. Ruthie also participates in cross country track and is a strong advocate for healthy students. She is very passionate about improving the health of individuals in her community and has dedicated much of her work to improving the emotional, mental and physical well-being of students. As a student ambassador, Ruthie engages local elementary school students about the adverse effects of bullying. She teaches students about bullying prevention, conflict management and how to build healthy relationships. As a Leadership Team member of the Virginia Foundation for Healthy Youth's youth volunteer group, Y Street, Jarielle Seward leads youth-focused events at her school, encouraging her peers to engage in healthy behaviors. A junior at Brunswick High School, Jarielle led a Rev Your Bev Day event at her school last year, teaching her peers, students and staff about the importance of drinking water. Using the same passion, energy, and enthusiasm she displays as a varsity cheerleader for her school, she modeled healthy behaviors and showed her community how they could make drinking water fun. Volunteering with Y Street, Jarielle has participated in Feed Virginia’s Day of Action, led the Virginia Breakfast Challenge at her school and assembled a School Breakfast Team during National School Breakfast Week to strategize about how to increase school breakfast participation at her school. She’s also engaged local stakeholders and has worked closely with Brunswick County’s school district nutrition director to promote school breakfast participation. 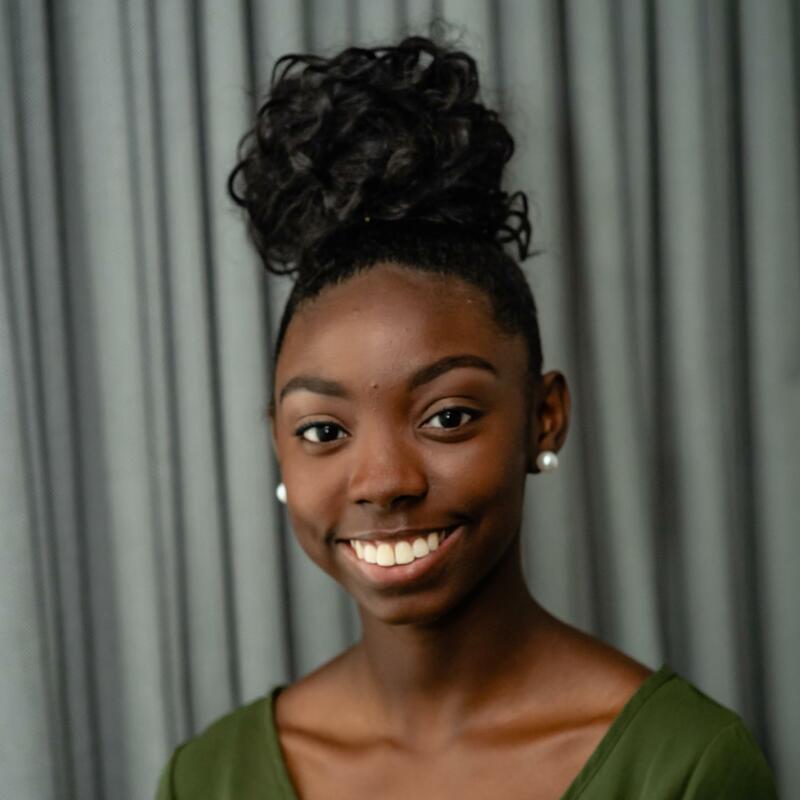 Jarielle is involved in a number of student organizations at her school, including We the People, the Student Government Association, Exploratory Development, the National Honors Society, dual enrollment and Y Street. Jarielle believes that all students should be given the opportunity to live healthy lives. 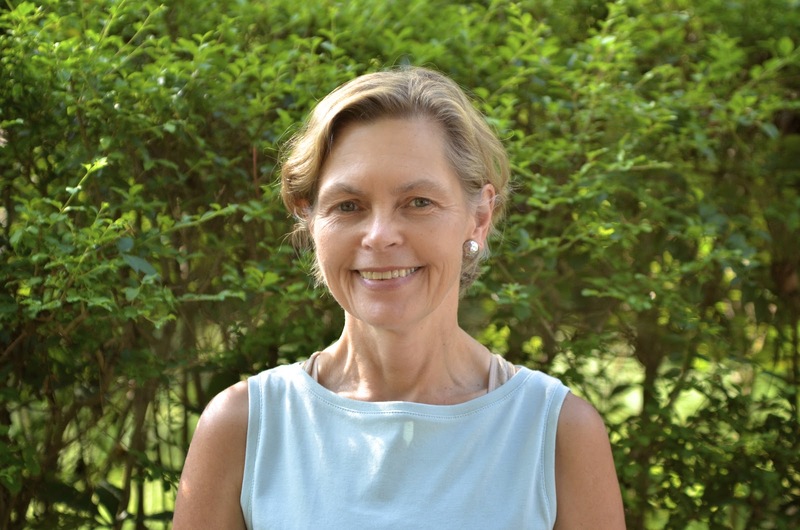 As director of School Nutrition Programs for the Virginia Department of Education, Sandy Curwood, Ph.D, RDN, works to assure that every Virginia student has access to good, healthy, food at school to enhance academic success and promote lifelong wellness. Formerly the school food service director for 15 school districts in California, Curwood successfully implemented farm-to-school programs, conversion to speed-scratch cooking and incorporating nutrition education and garden-based learning in the classroom. She is a registered dietitian and has worked in a variety of food service and healthcare settings. As adjunct faculty, she has taught food service systems and nutrition courses at Cal State Northridge. Curwood holds a bachelor's degree in foods and nutrition, a master's degree in business, health Care administration, and a Ph.D. from Iowa State in hospitality management, with a focus on food safety in farm-to-school programs.